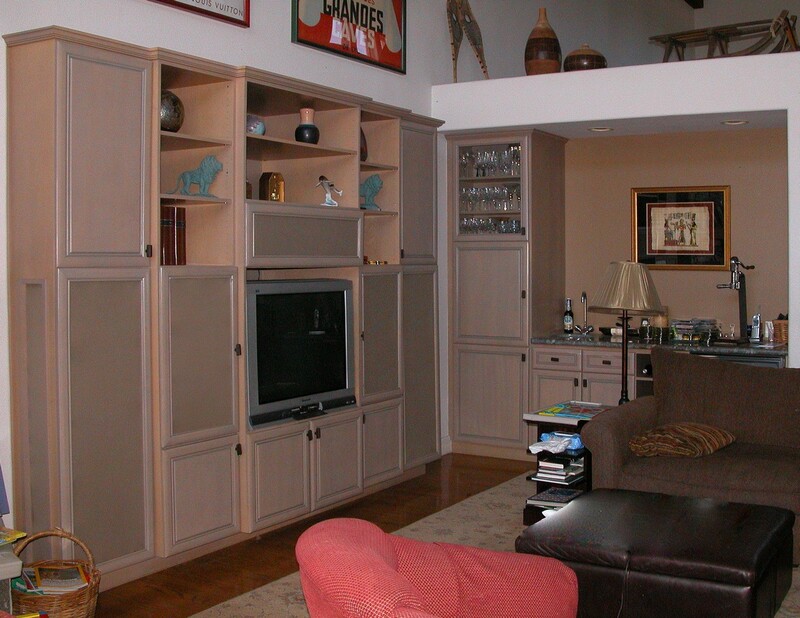 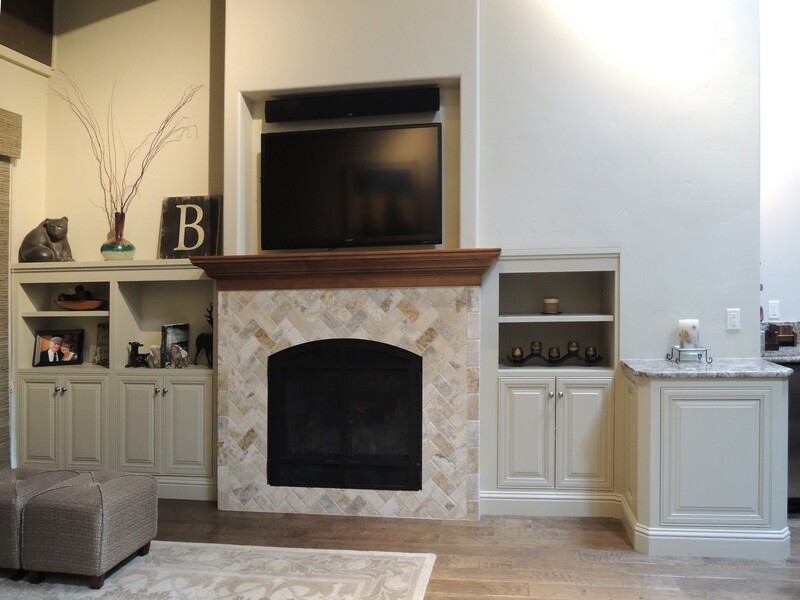 Gray washed Maple wood wall unit to house TV; speakers; AV units. 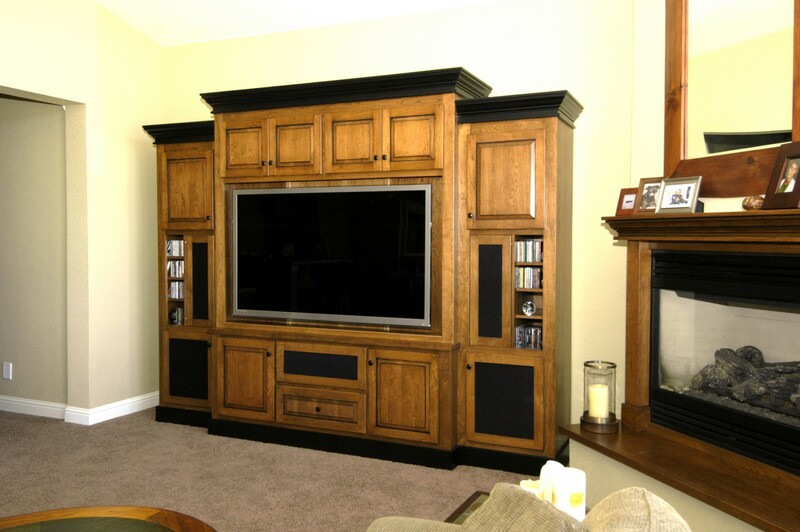 Matching bar at the end. 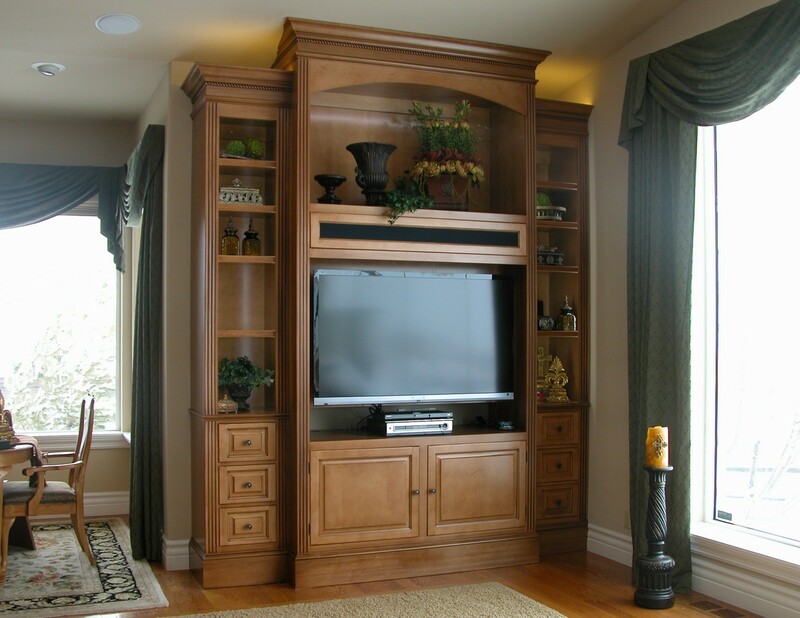 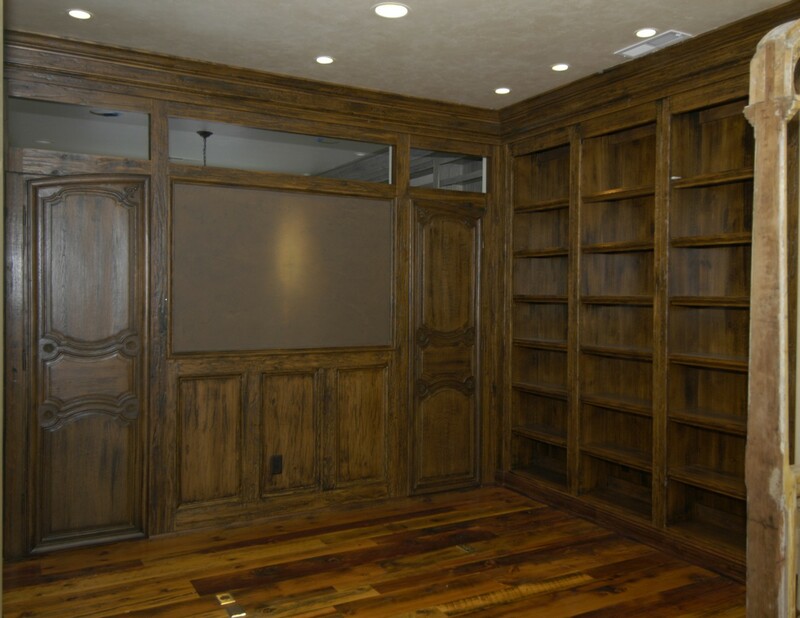 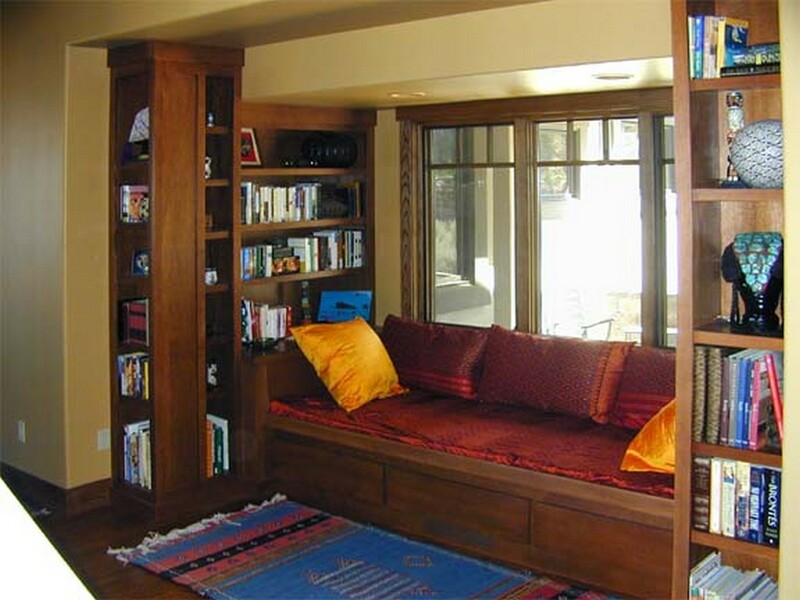 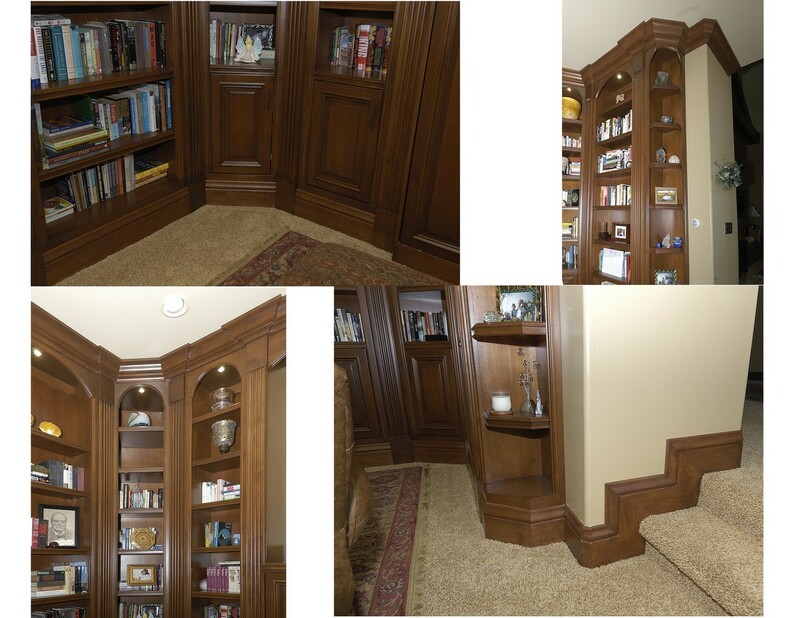 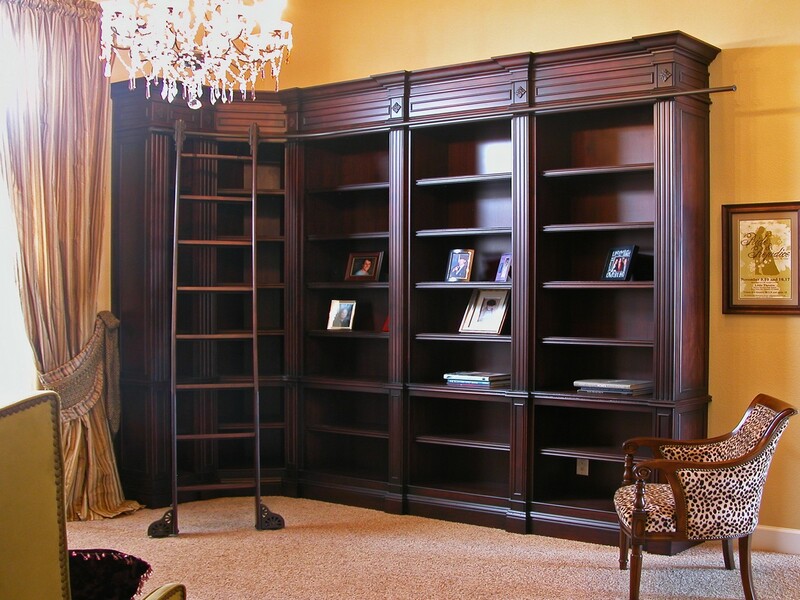 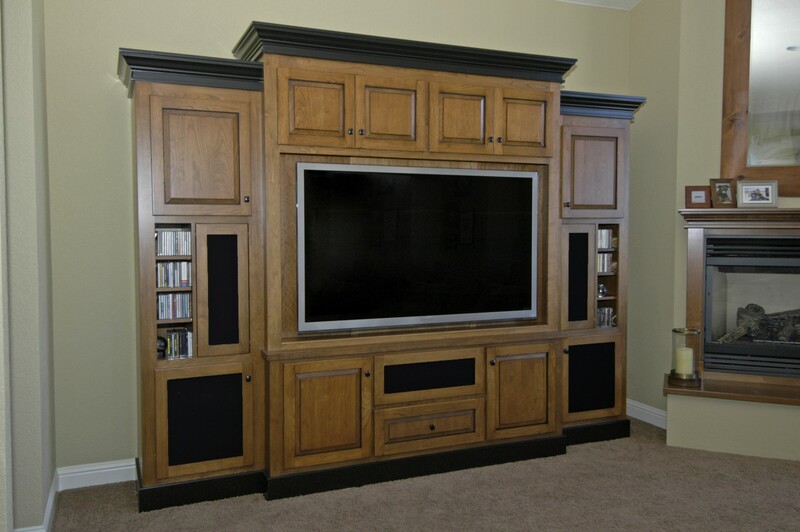 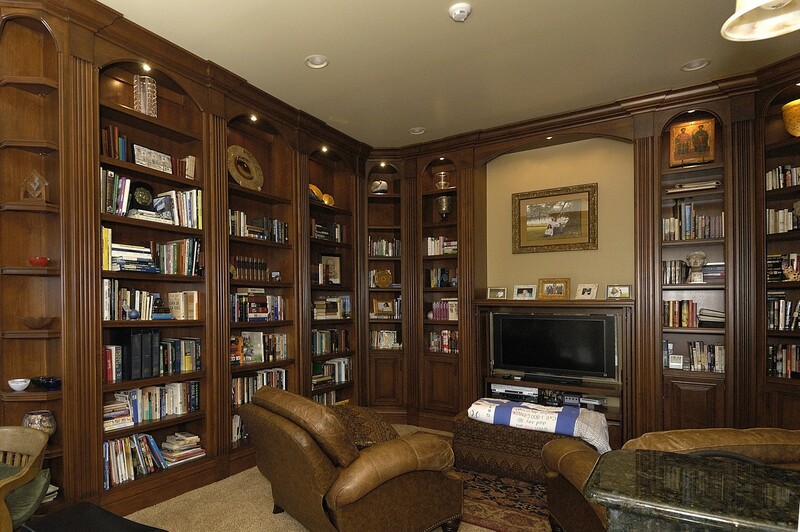 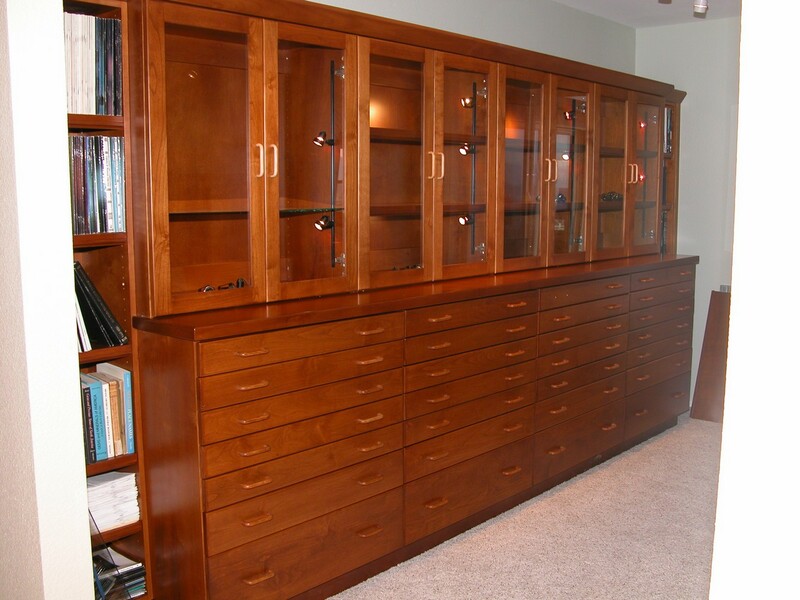 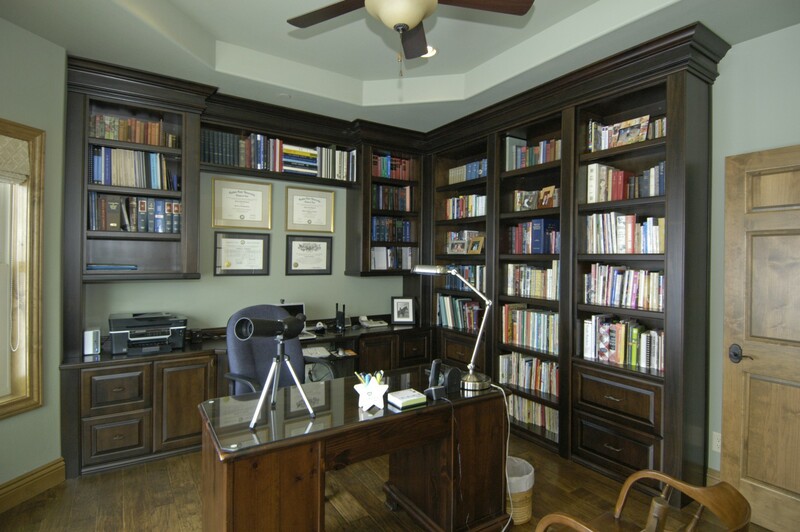 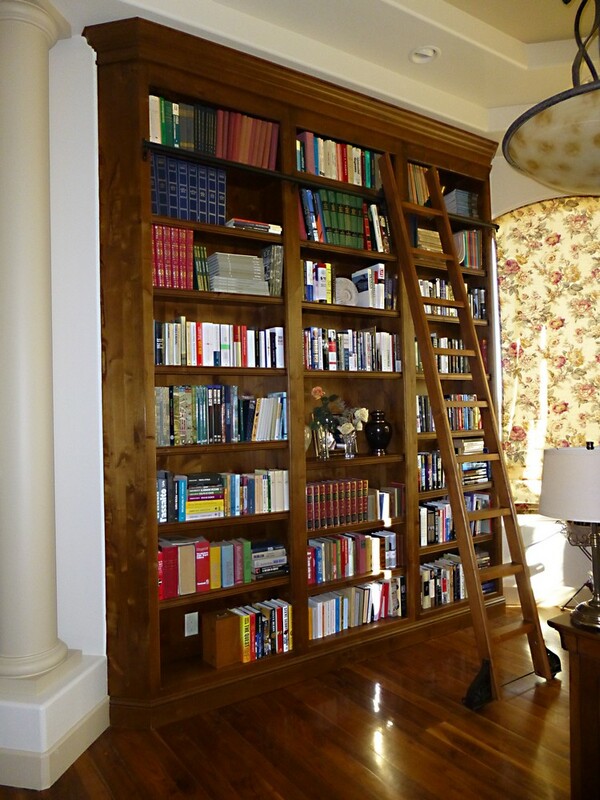 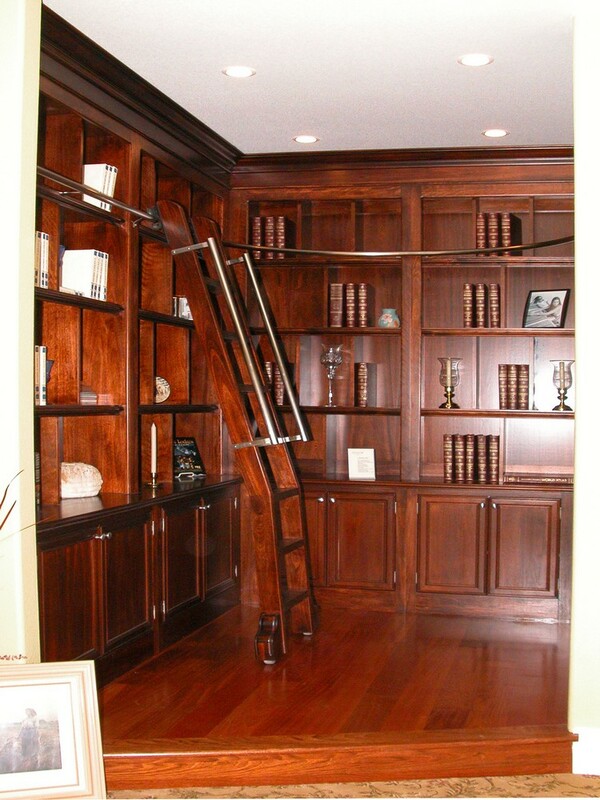 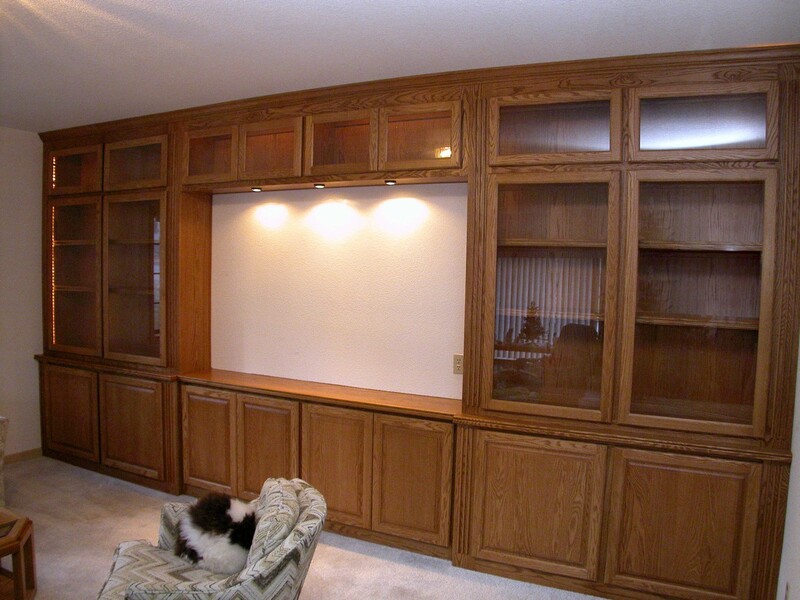 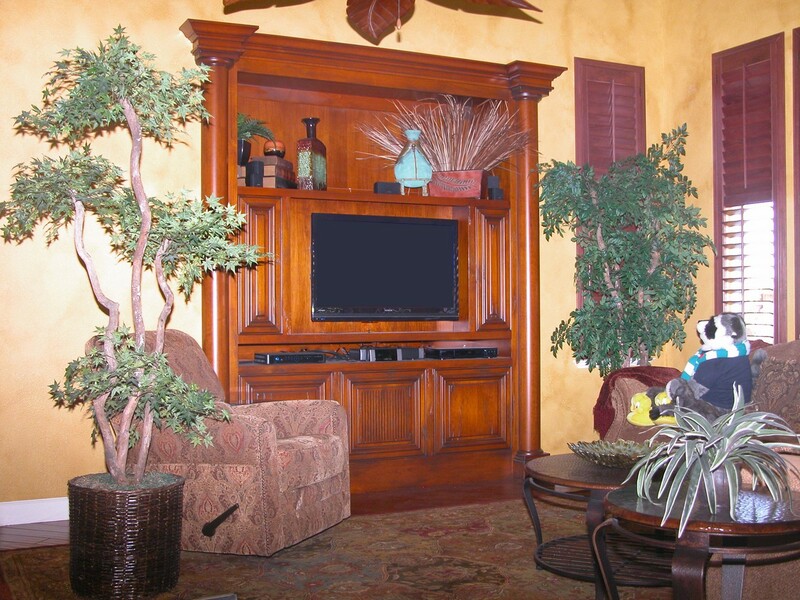 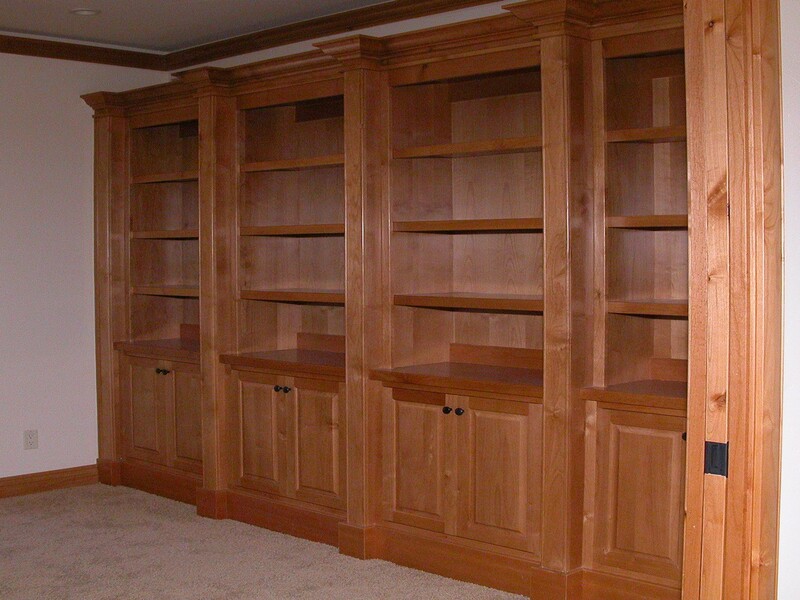 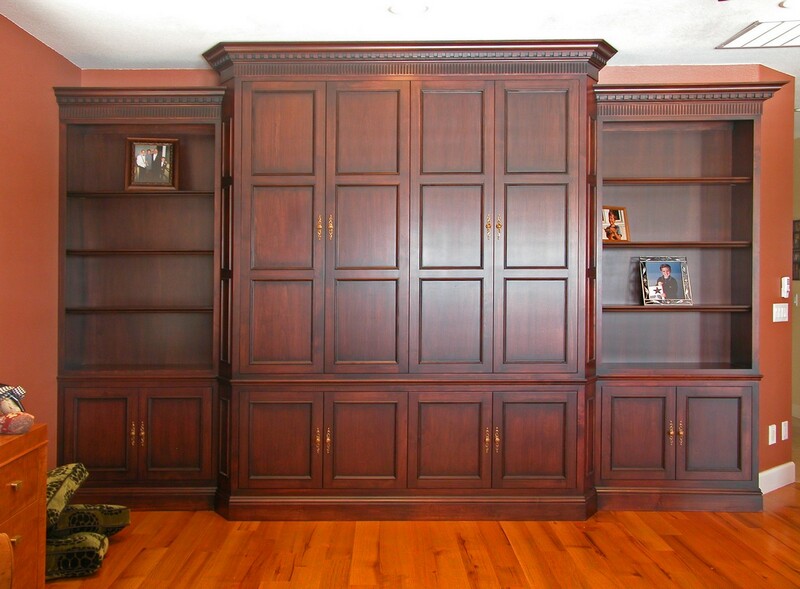 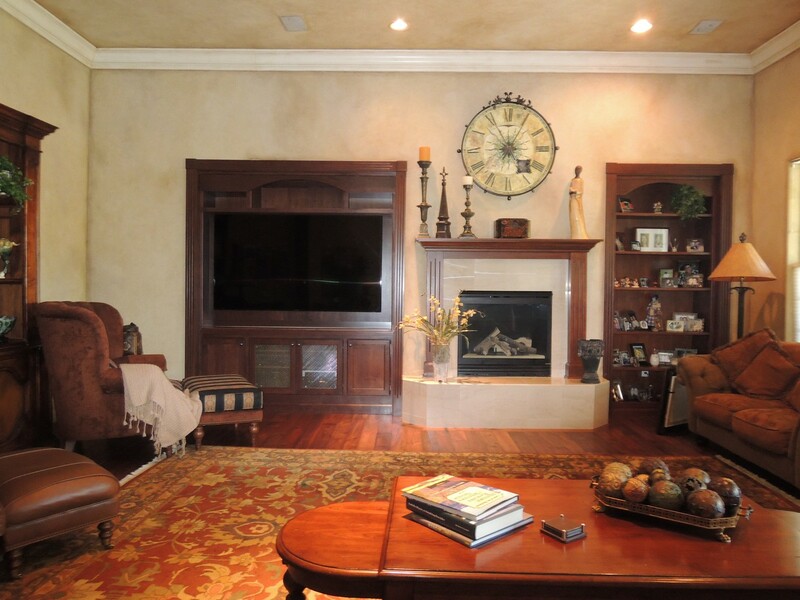 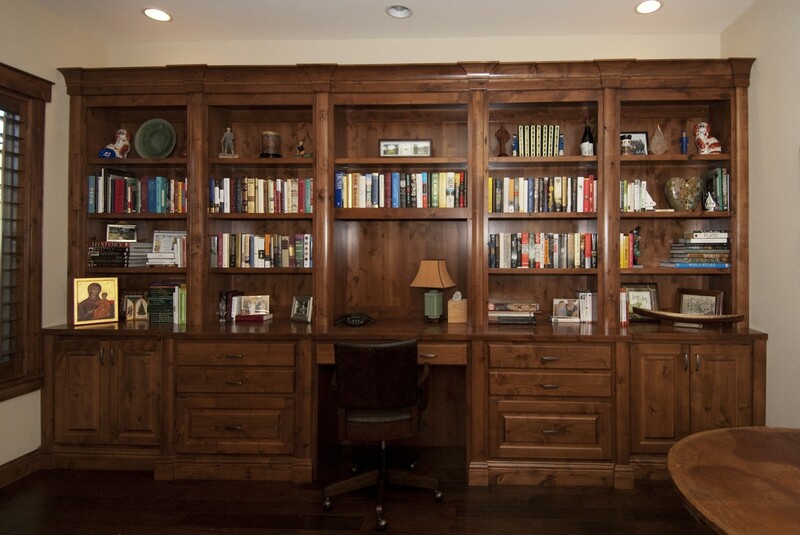 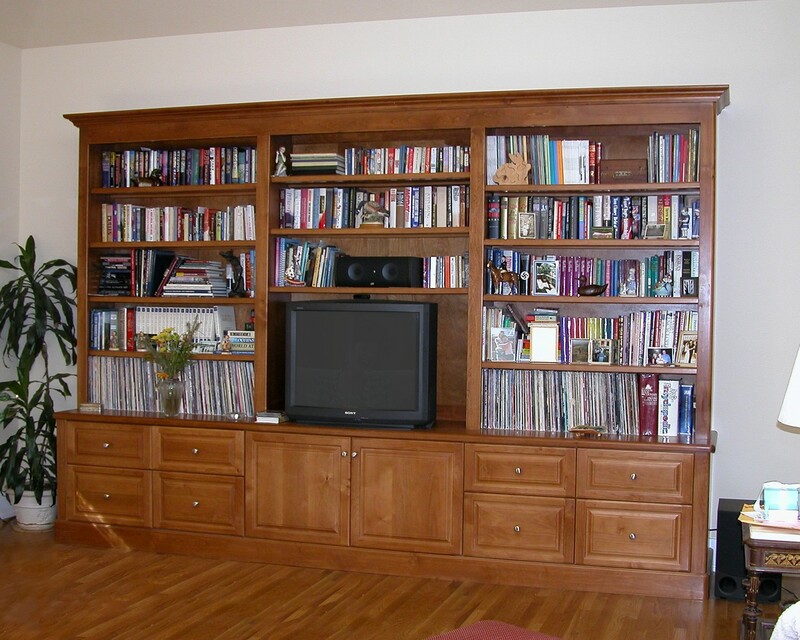 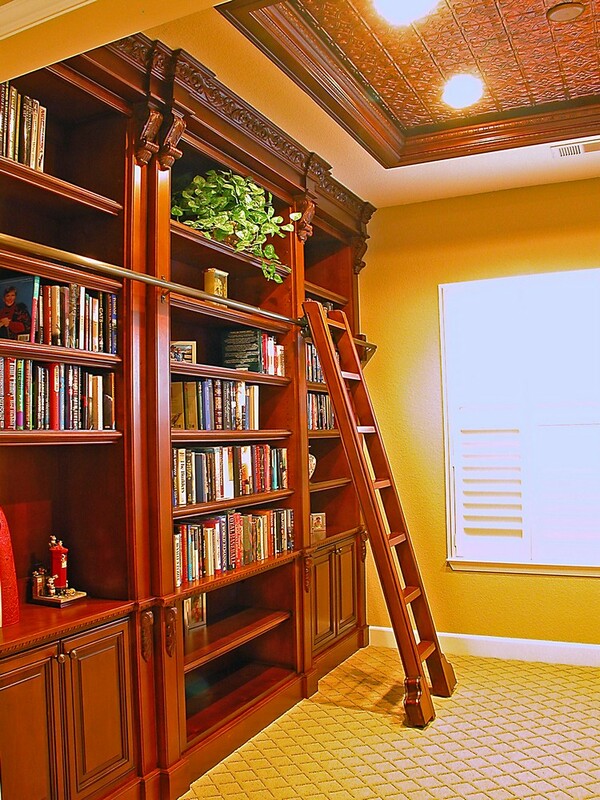 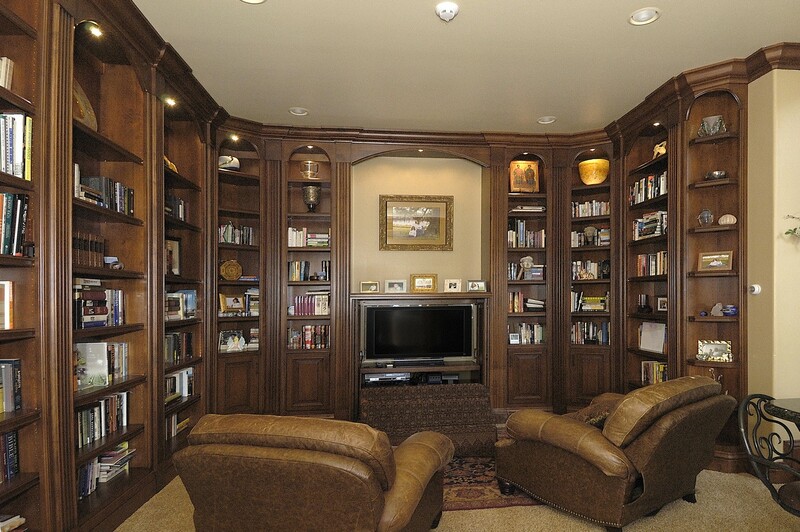 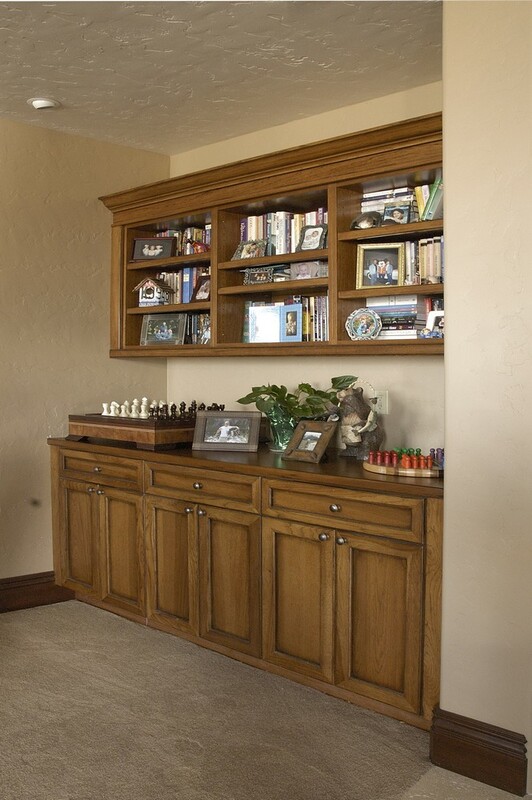 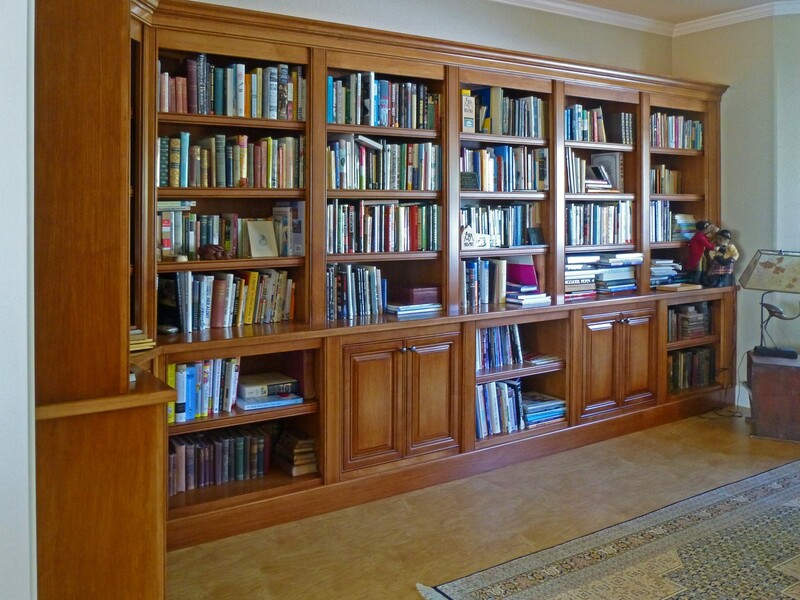 Walnut wall unit for TV; AV units; books & dust collectors. 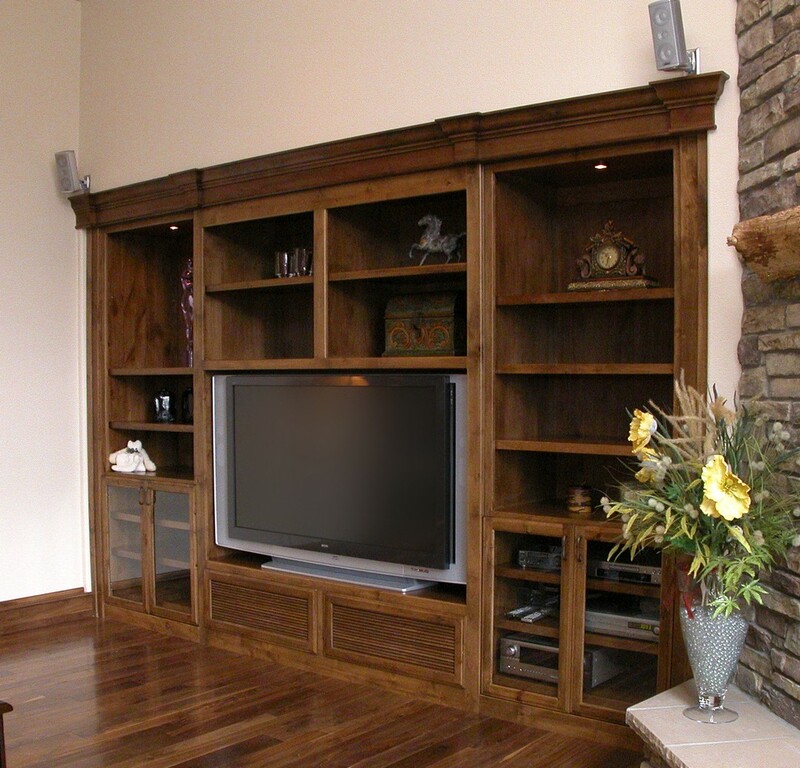 Inset alder wood wide screen TV cabinet. 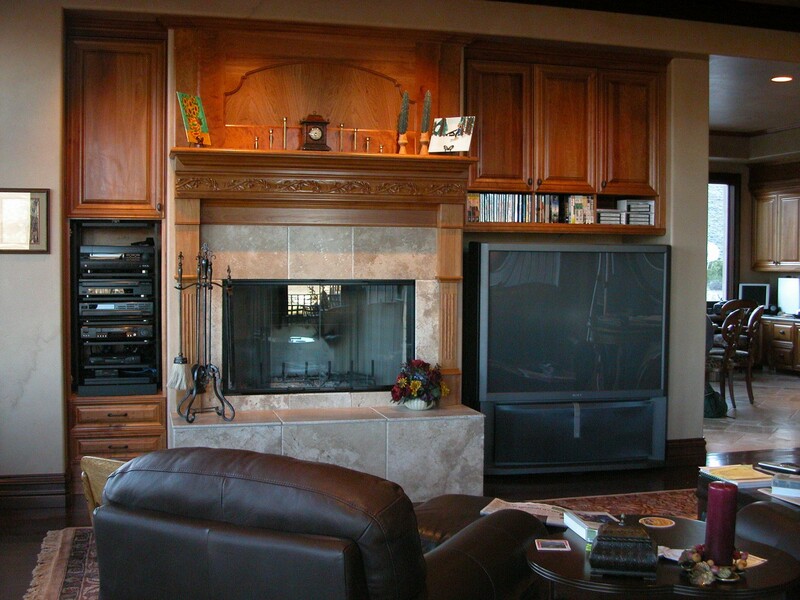 Oil rubbed bronze wire mesh door panels. 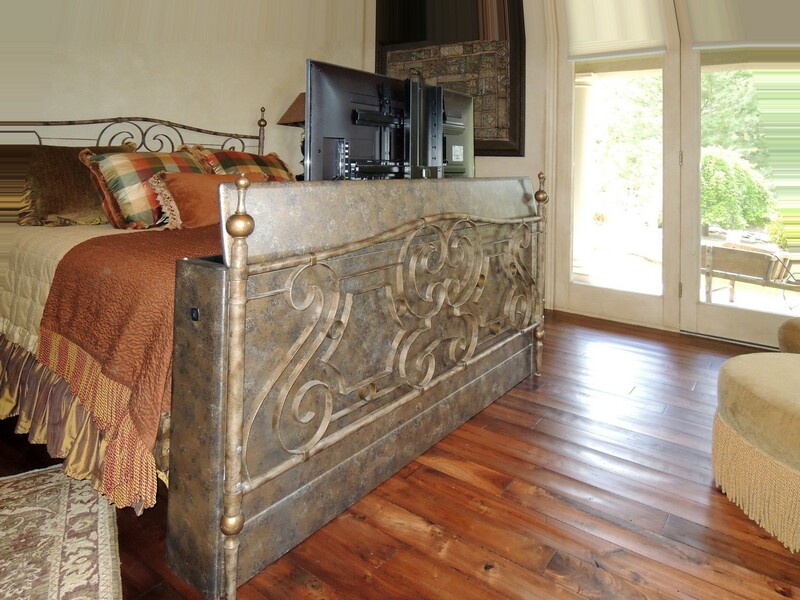 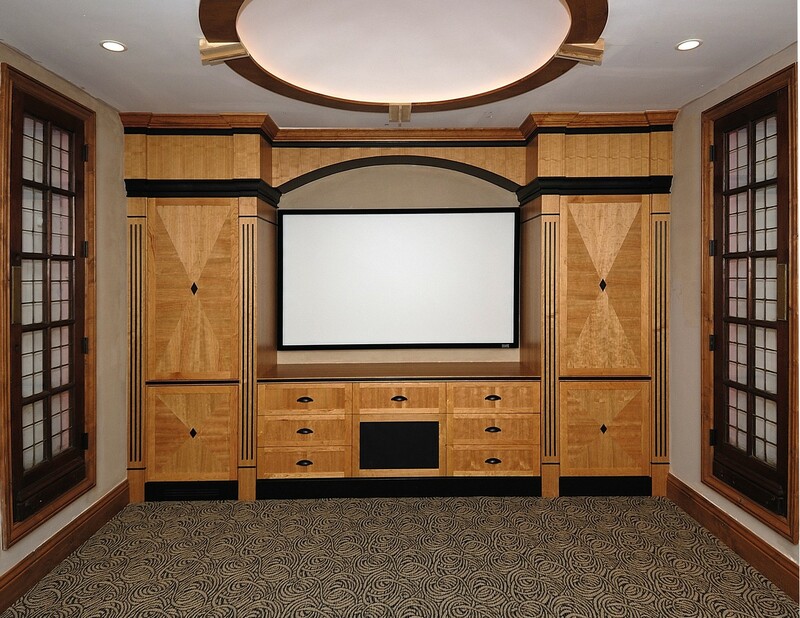 Faux finished cabinet made for motorized TV lift at the end of the bed. 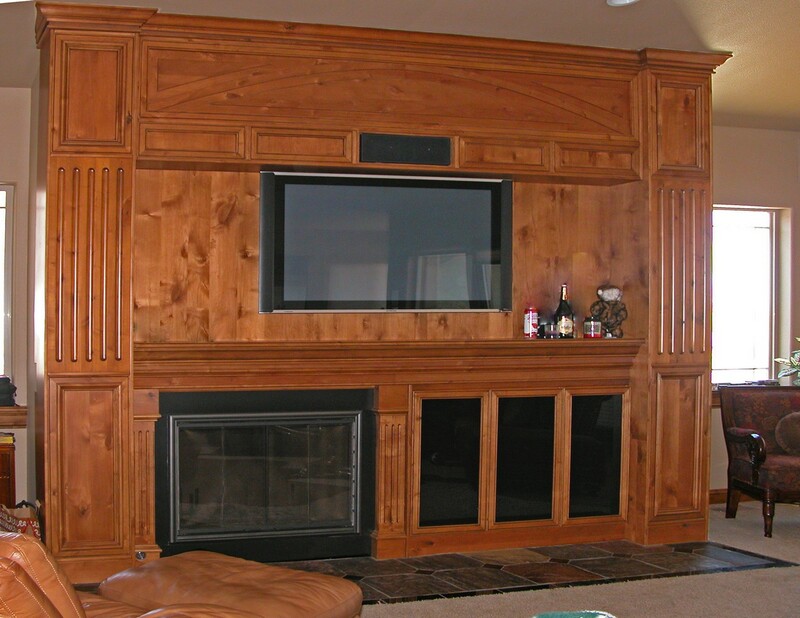 Knotty Alder wood wall unit for fireplace; TV & AV system. 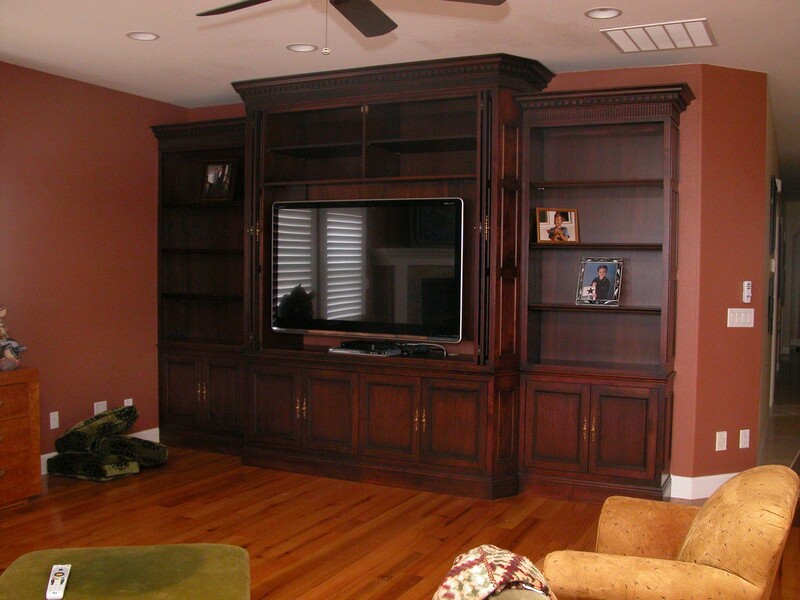 Mahogany TV cabinet & bookshelf. 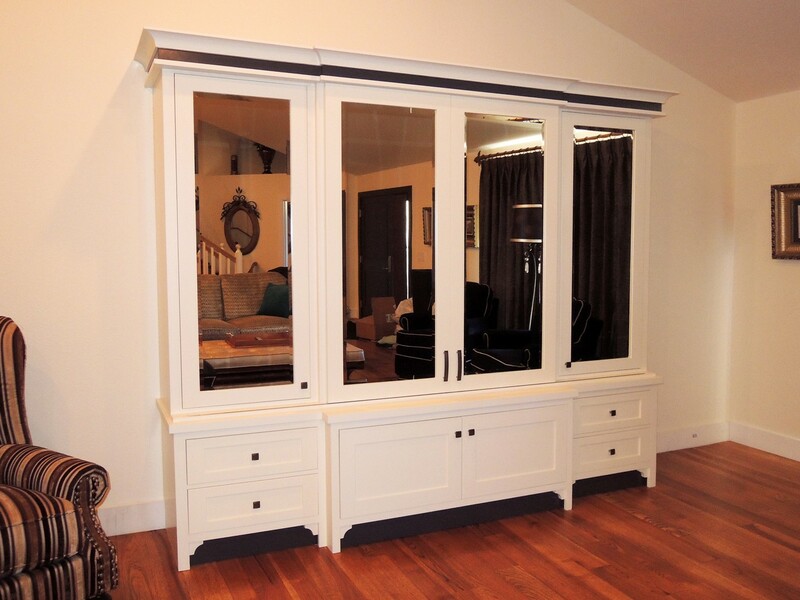 Bi-fold pocket doors. 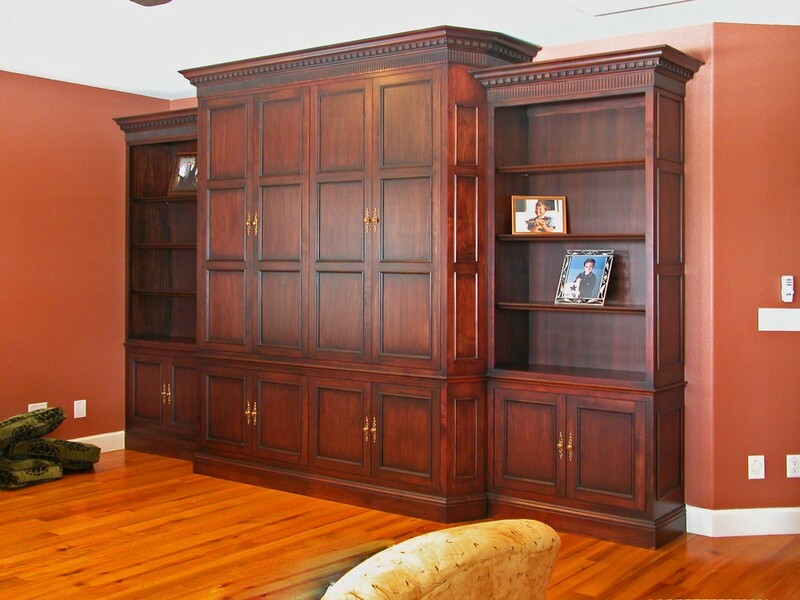 Glazed & shaded finish. 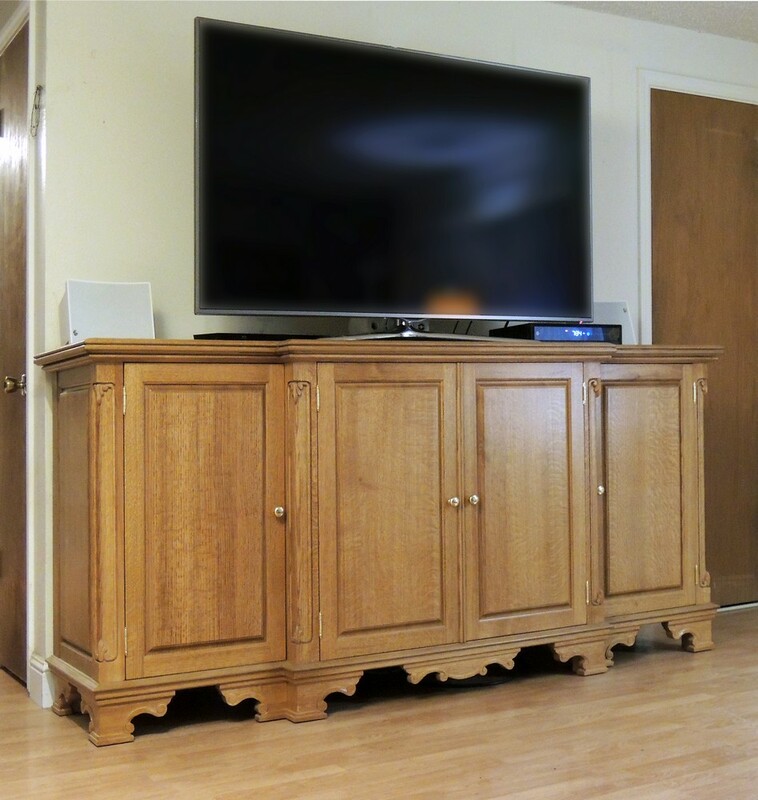 Quarter-sawn oak TV base with flush-hung doors; carved posts; carved feet. 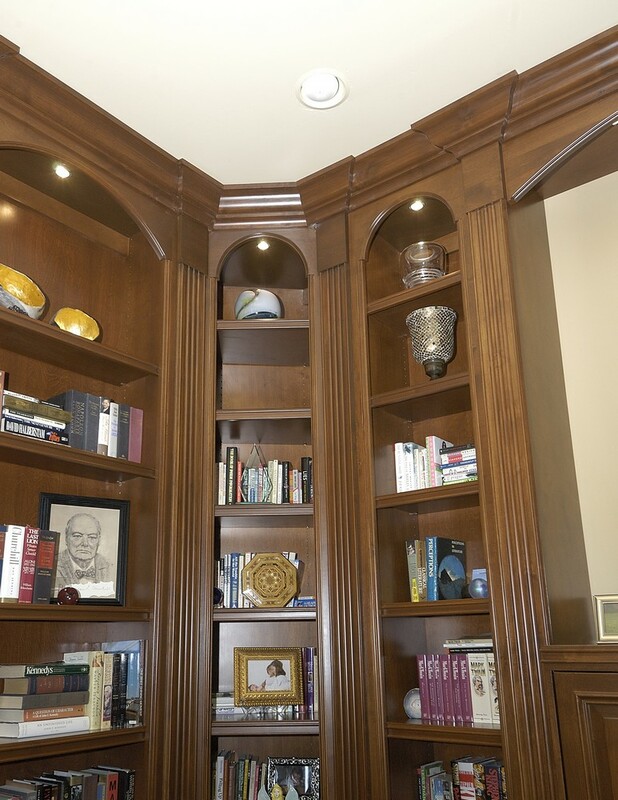 LED illuminated interior. 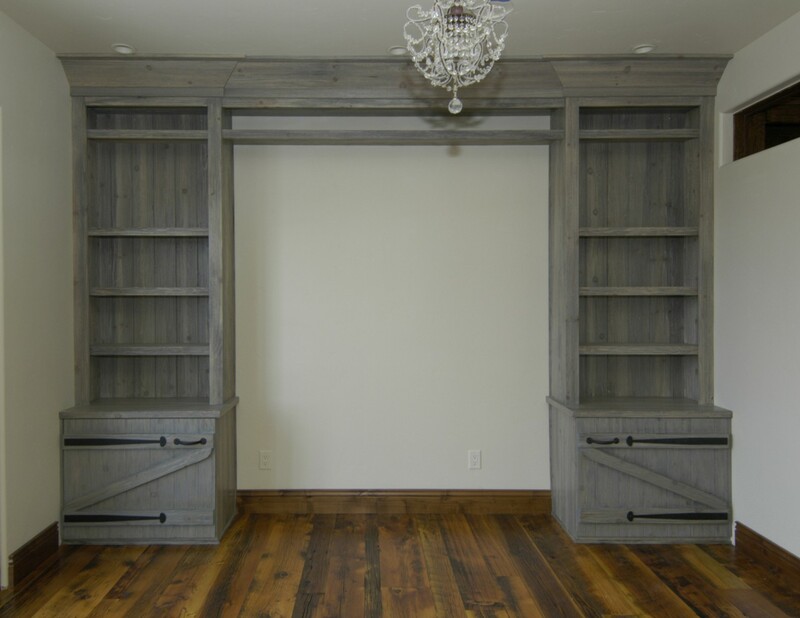 Faux antiqued alder finished to emulate old barn wood. 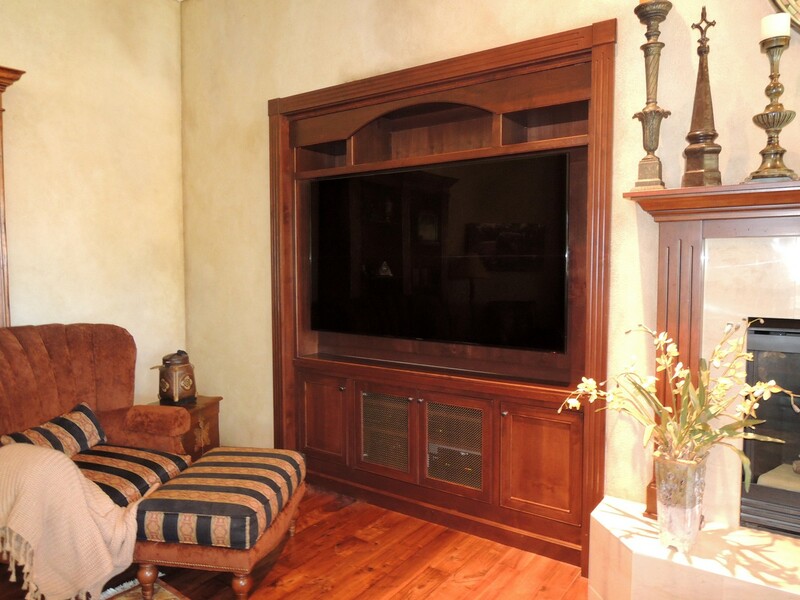 Oil rubbed bronze wire mesh on the TV doors. 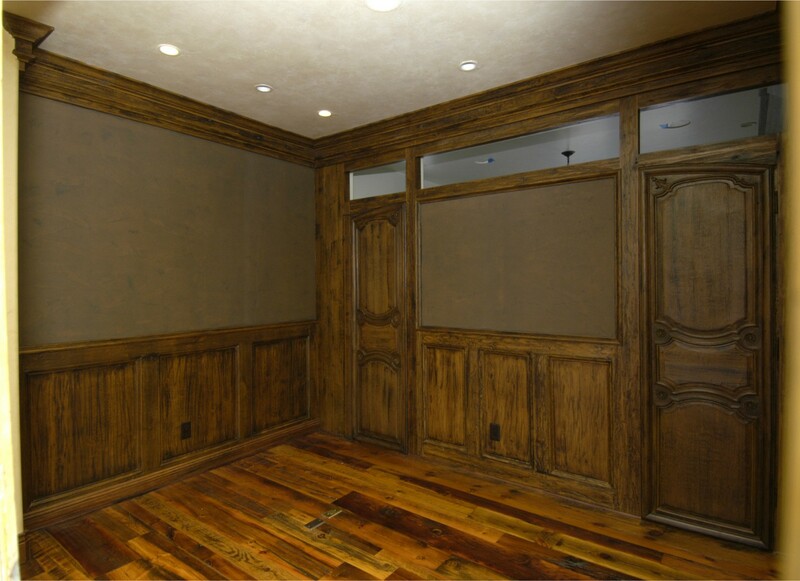 Tin ceiling panels on the lower doors. 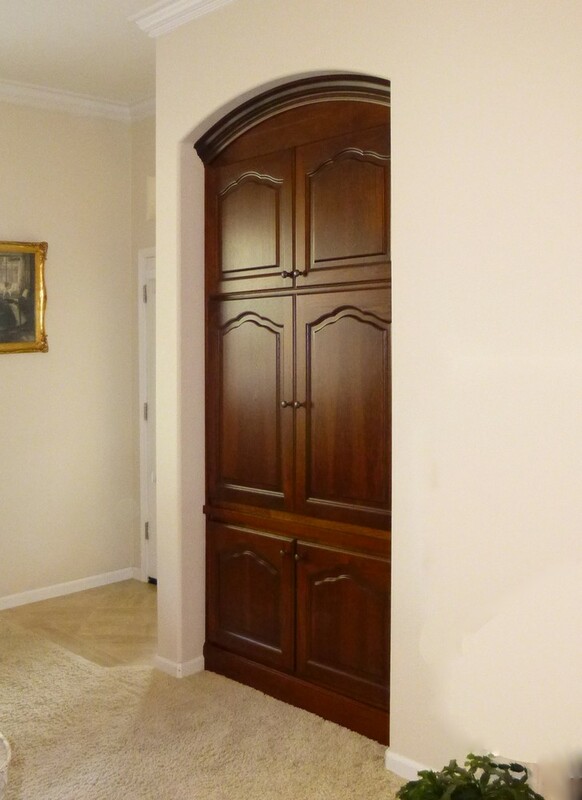 Door-switched LED illuminated interior lights. 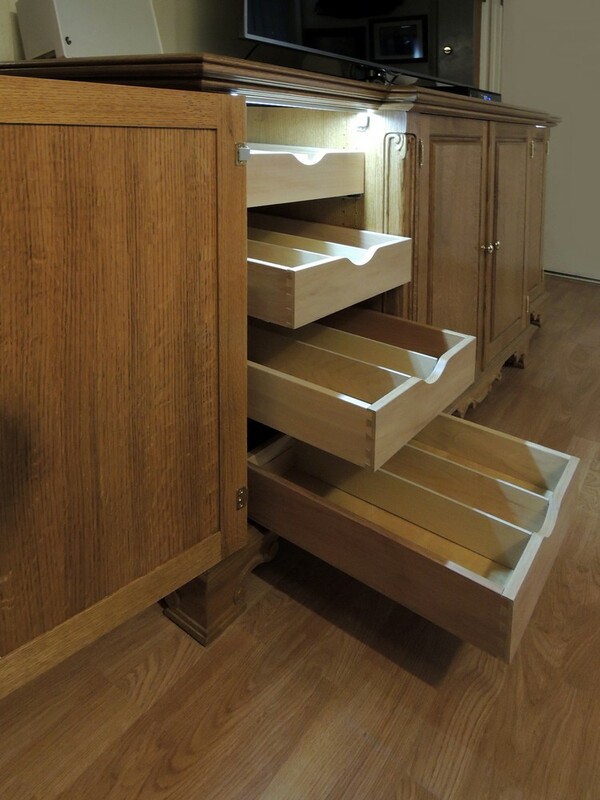 Dovetailed drawers on soft-close under-mount guides. 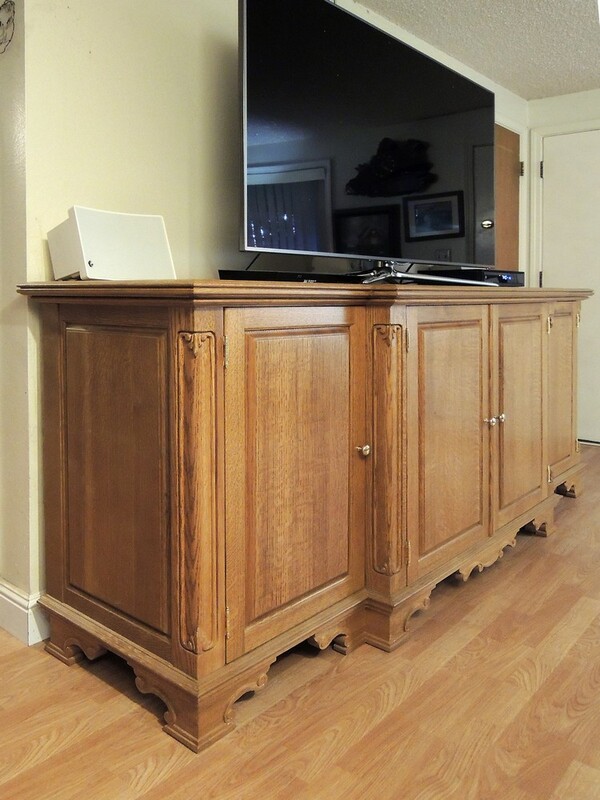 Alder wood inset TV cabinet with pocket doors and arched crown molding. 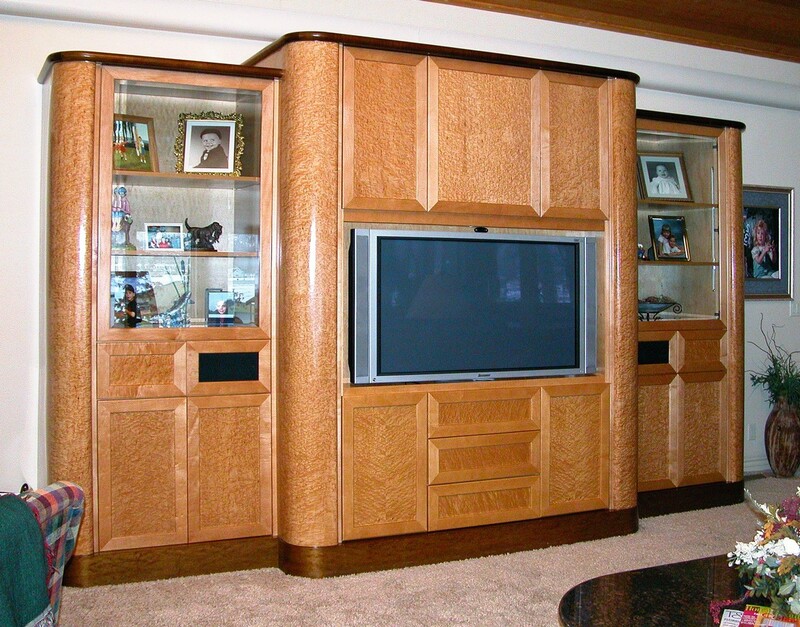 Heavy birds-eye maple cabinet with gloss finish. 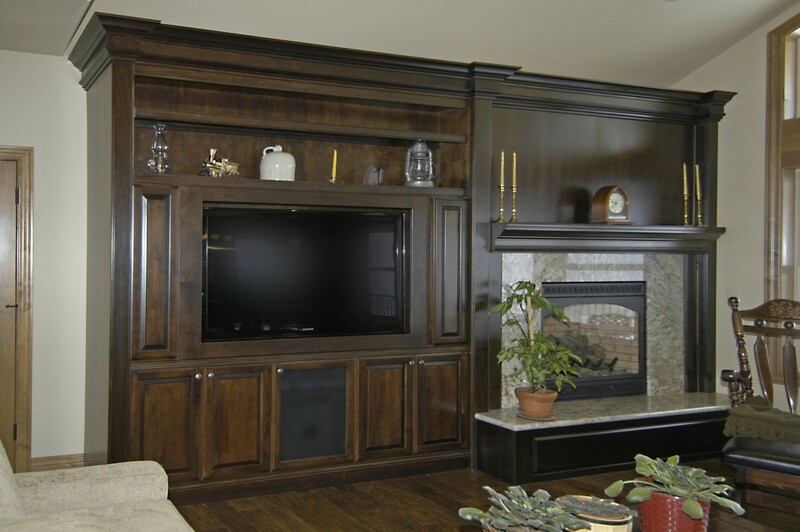 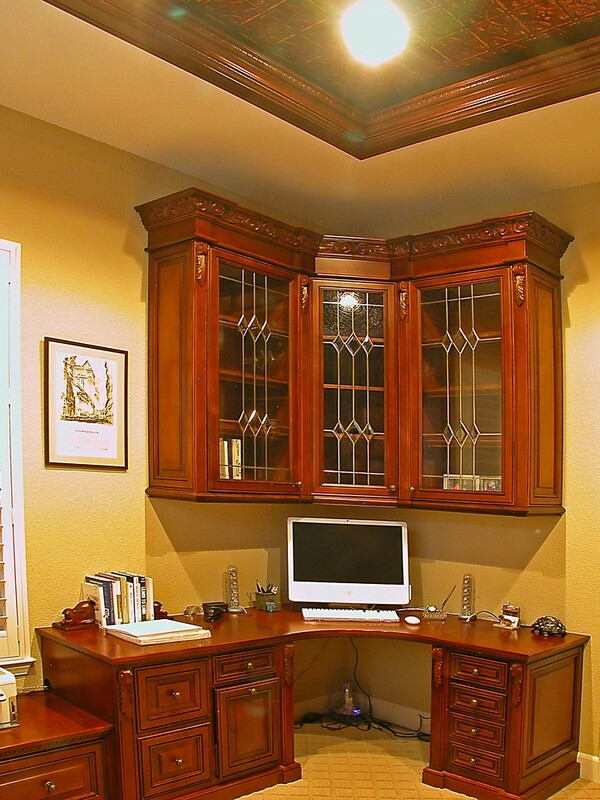 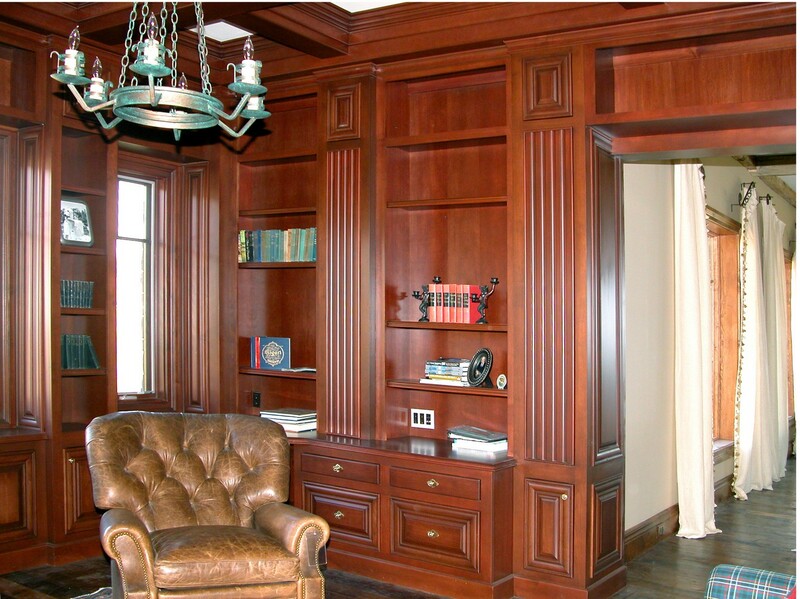 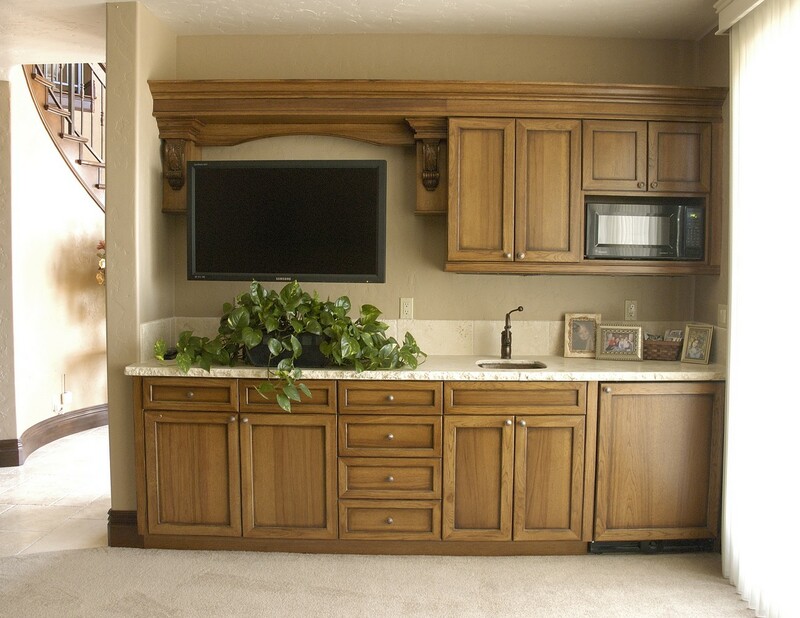 Walnut toned accent trim. 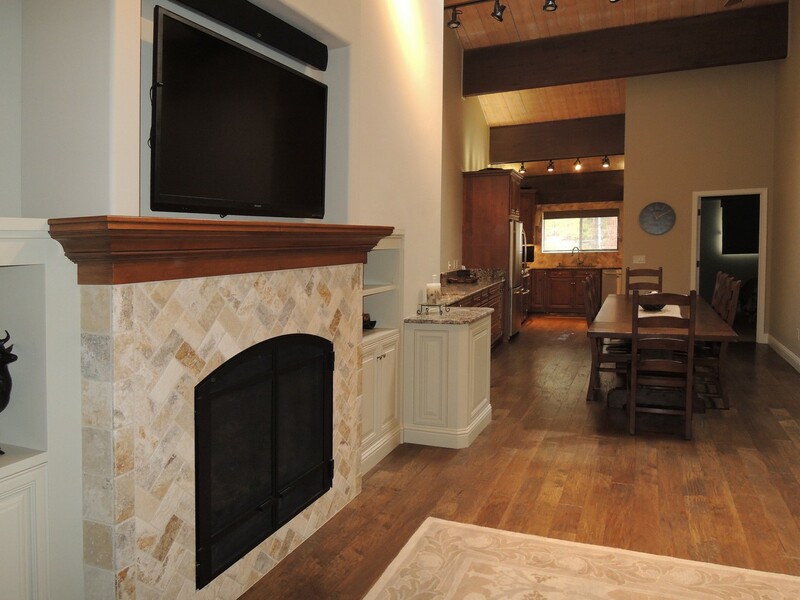 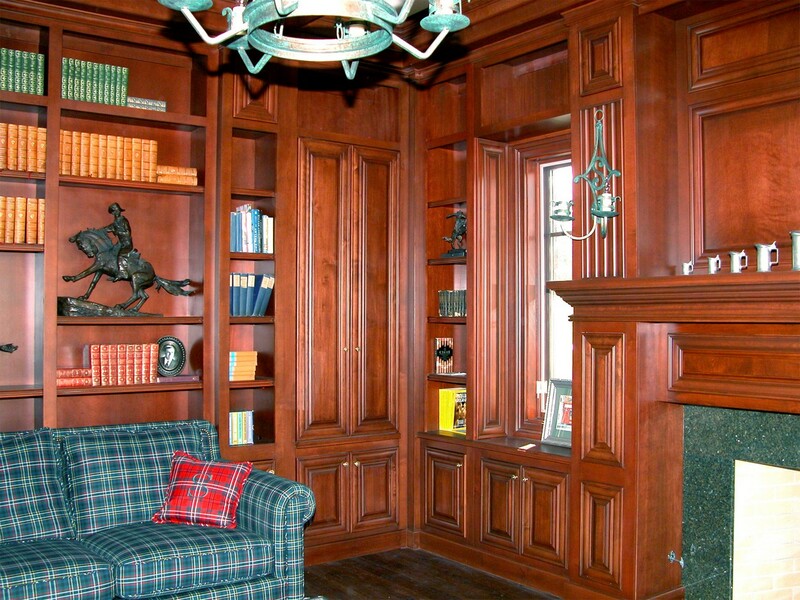 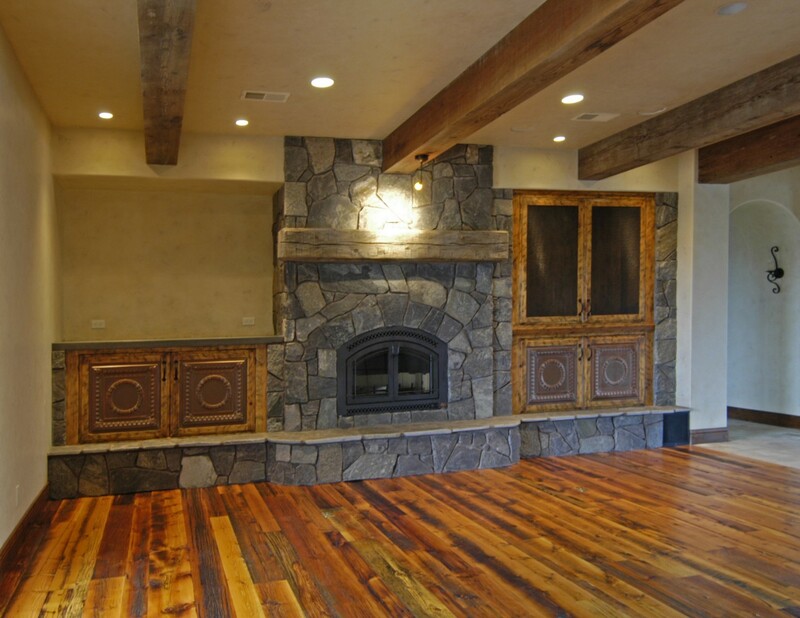 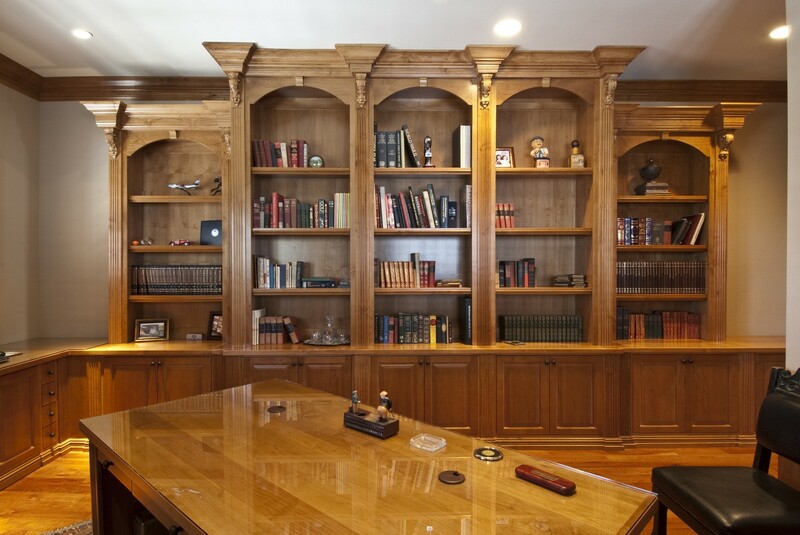 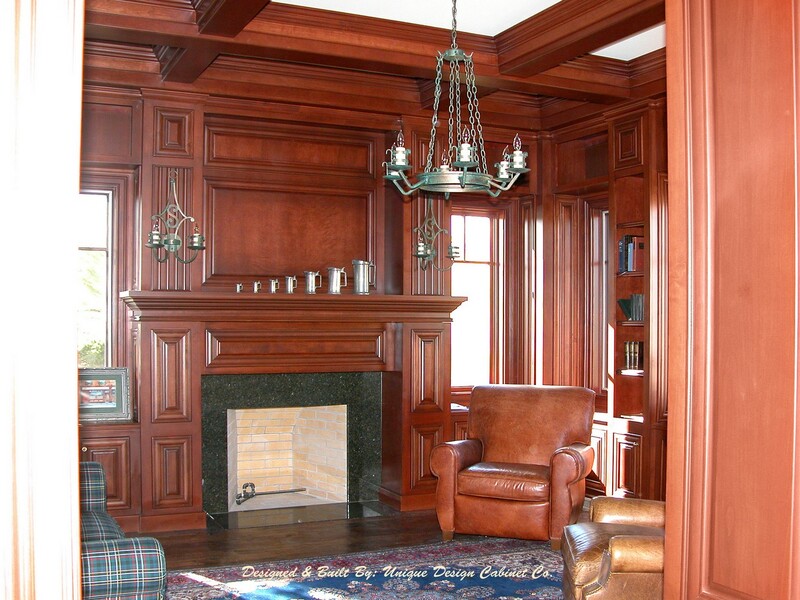 Cherry wood cabinetry & mantel with carved accents. 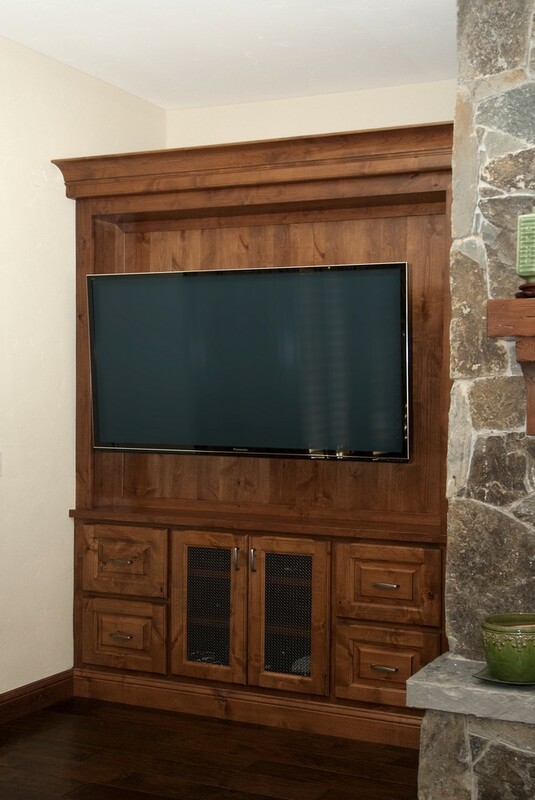 Inset alder wood wide screen TV cabinet. 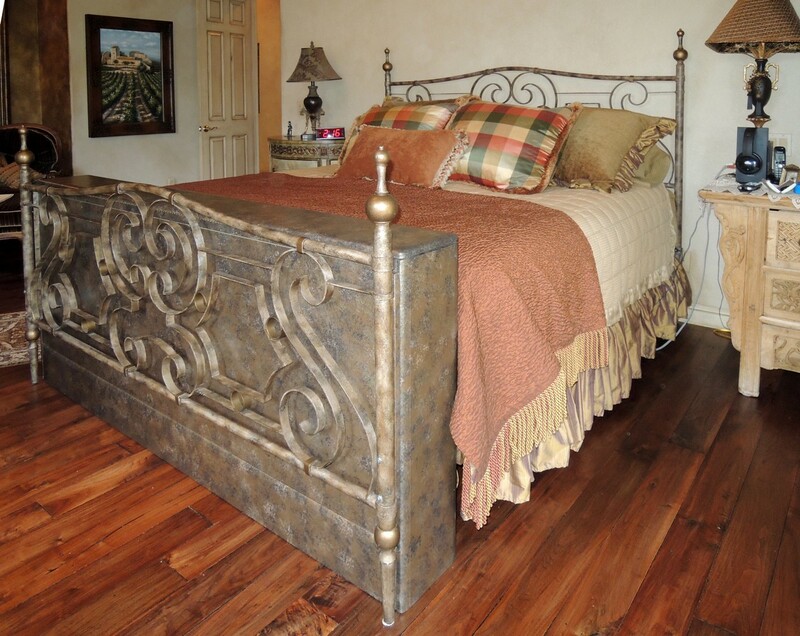 Oil rubbed bronze wire mesh door panels. 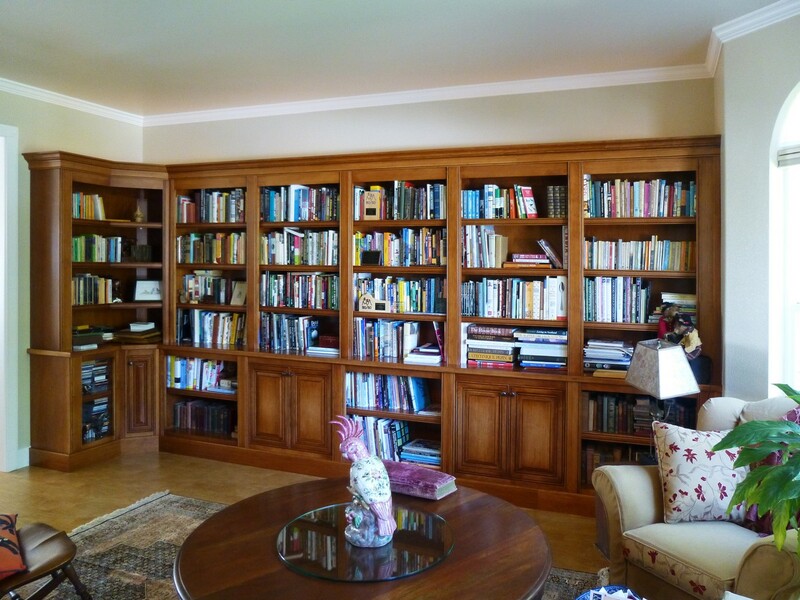 Finished to match existing mantel & bookshelves. 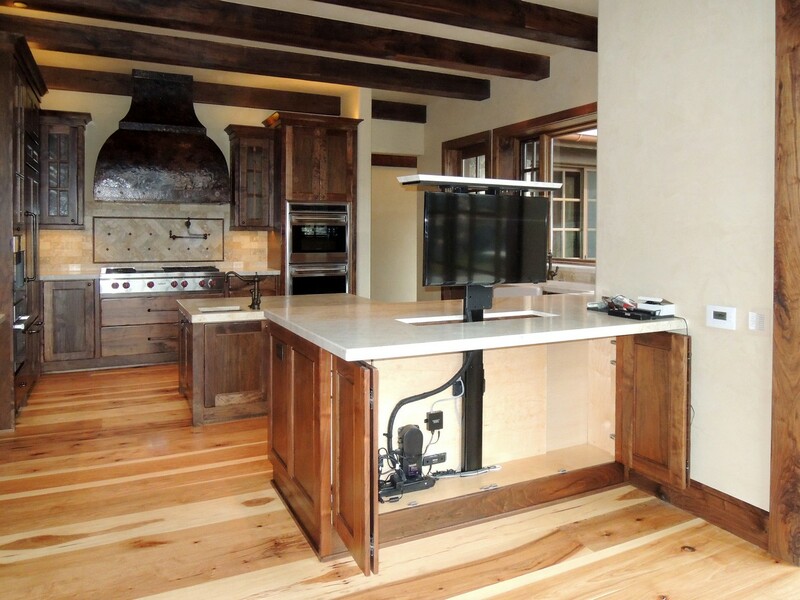 Motorized TV lift installed into kitchen cabinet peninsula. 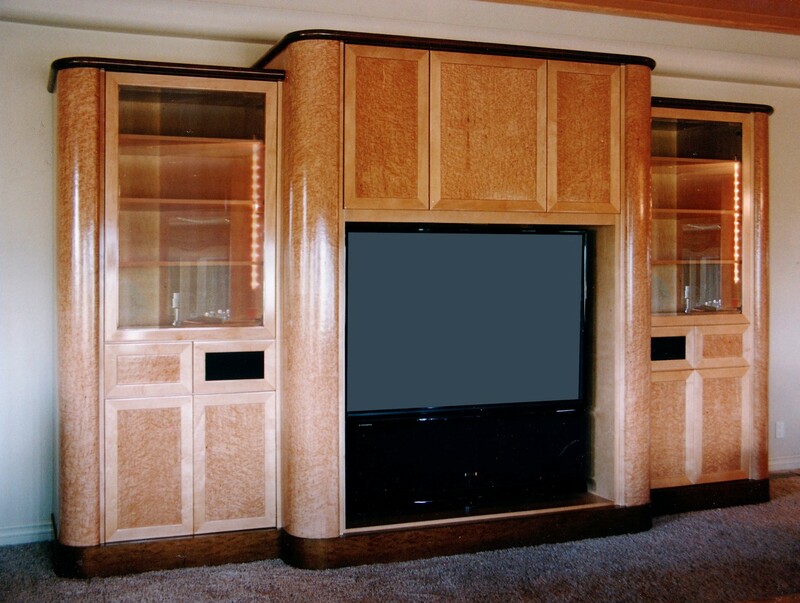 112″ high TV & display cabinet with LED illuminated interior. 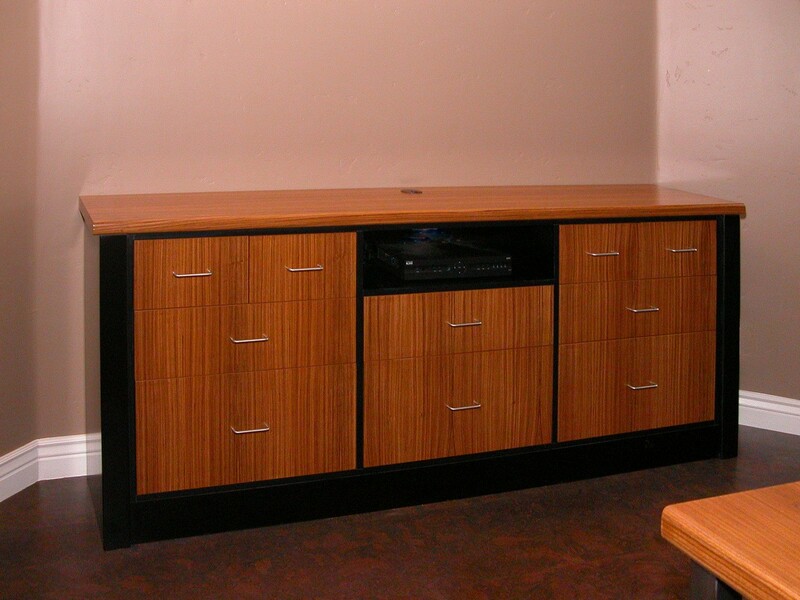 Cherry wood cabinet with black accents. 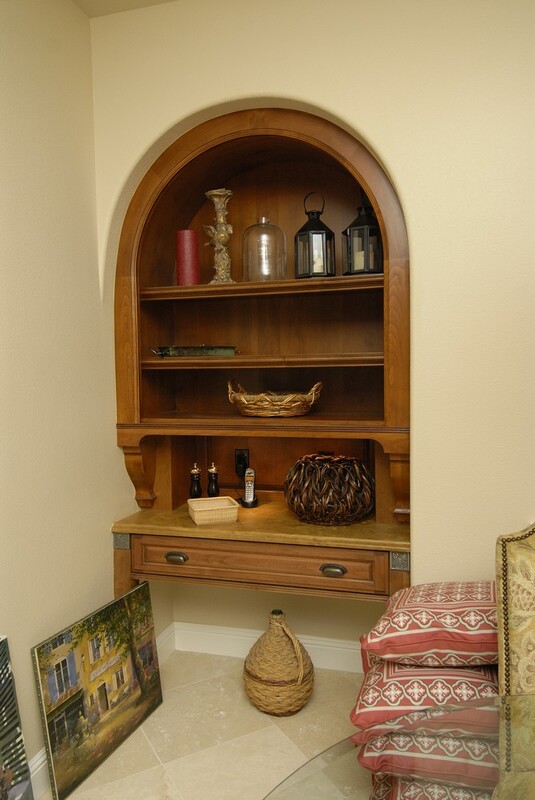 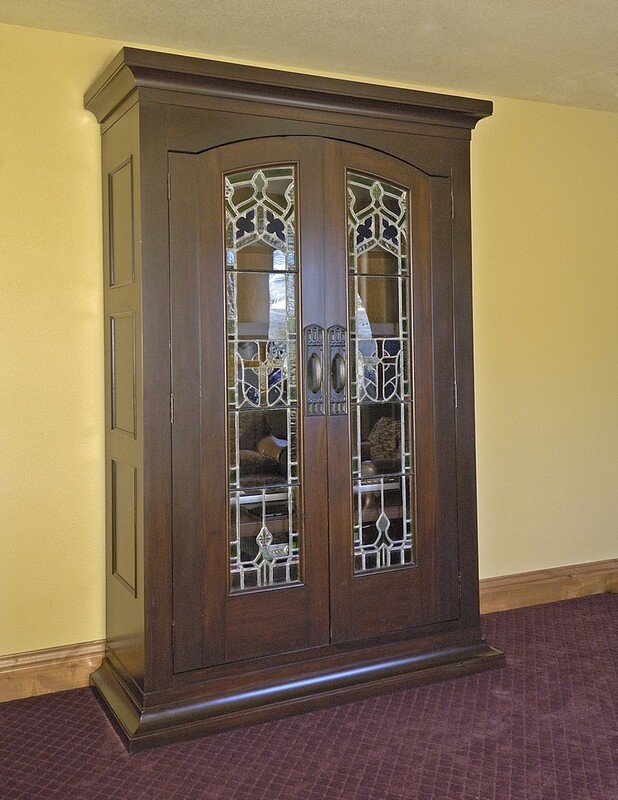 Inset alder Tuscan styled cabinet. 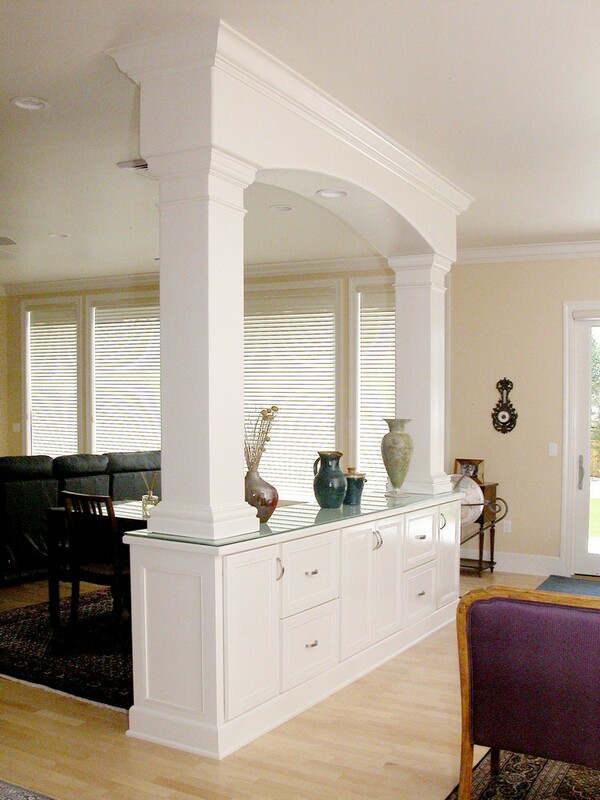 Tubular columns, glazed & shaded finish. 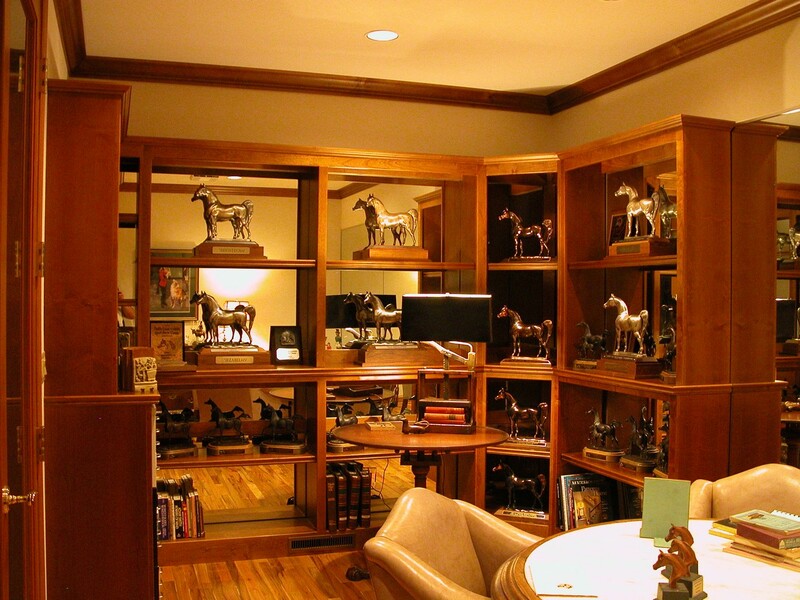 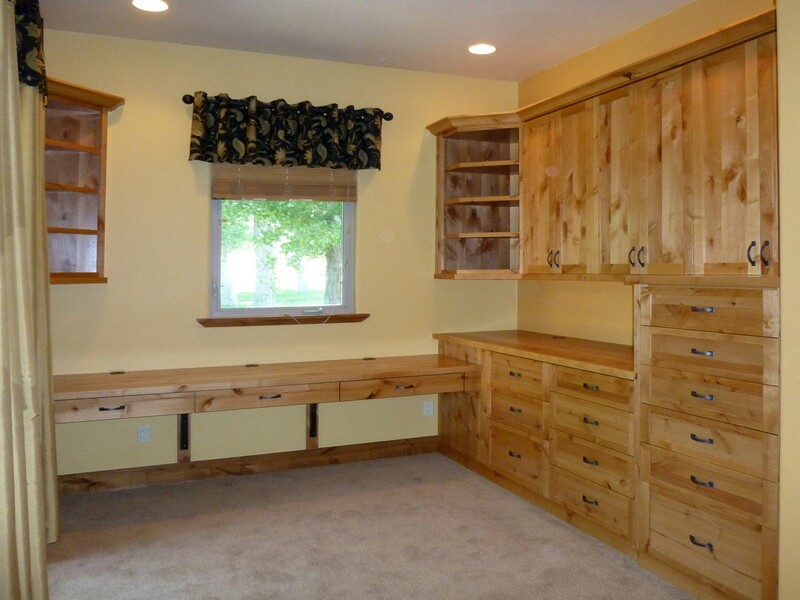 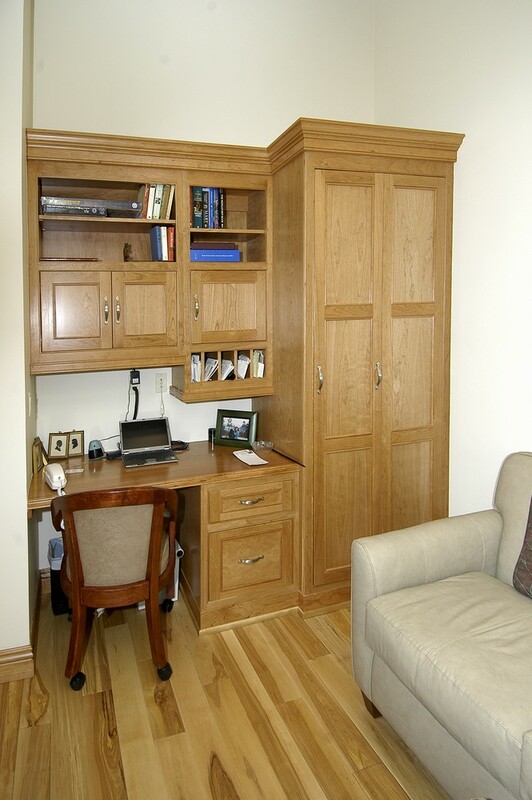 Alder wood multi purpose room. 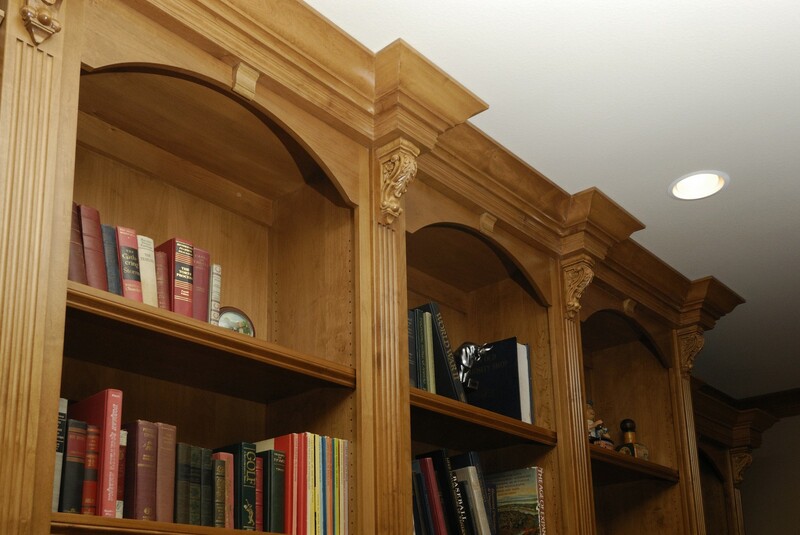 Fluted columns arched top rails. 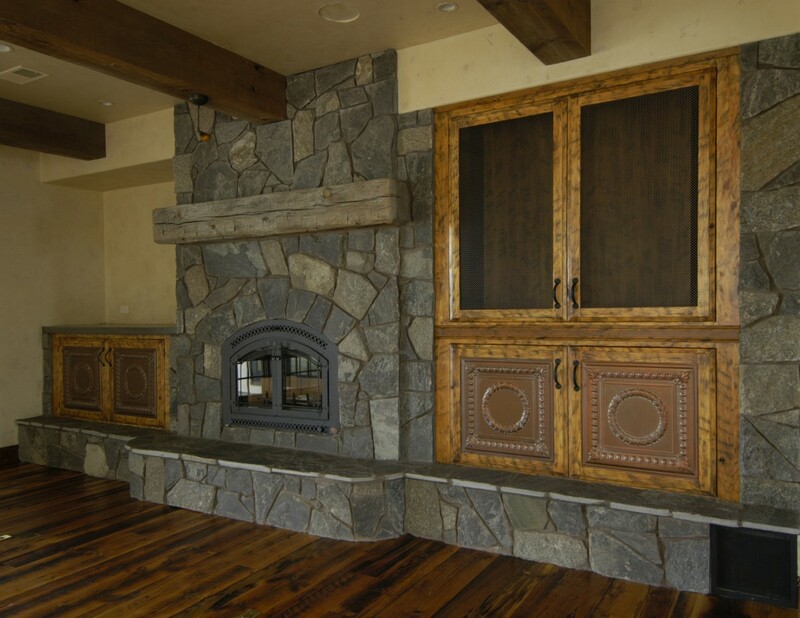 glazed finish. 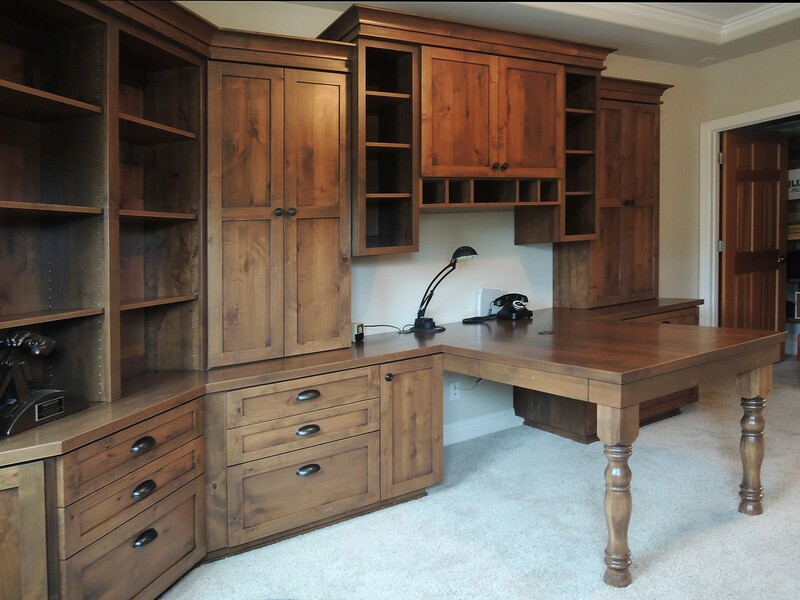 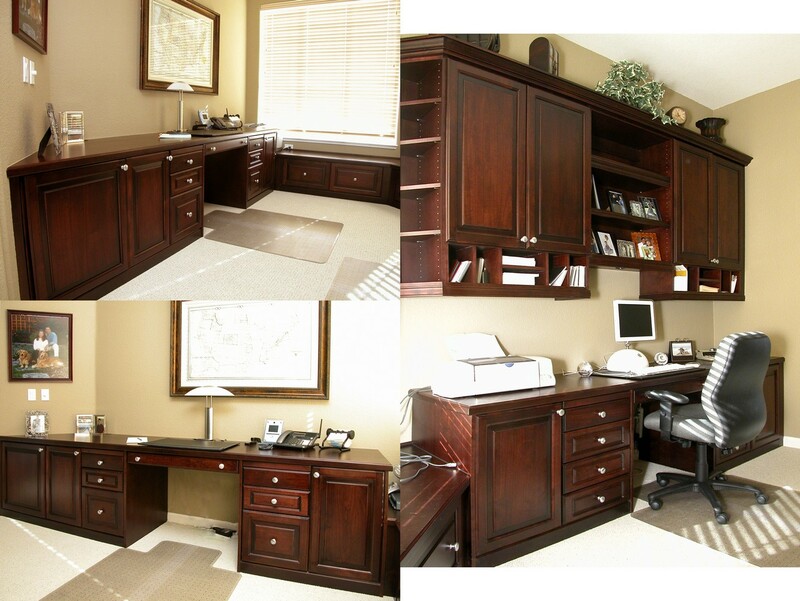 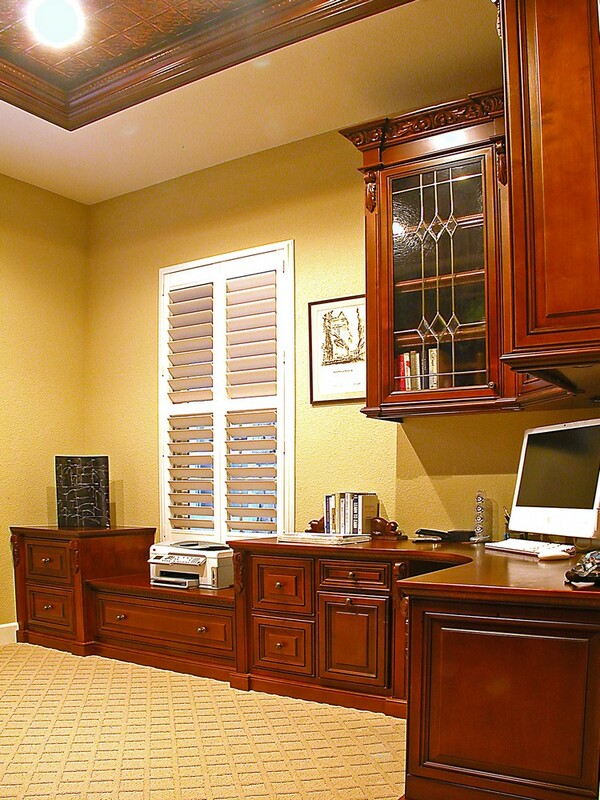 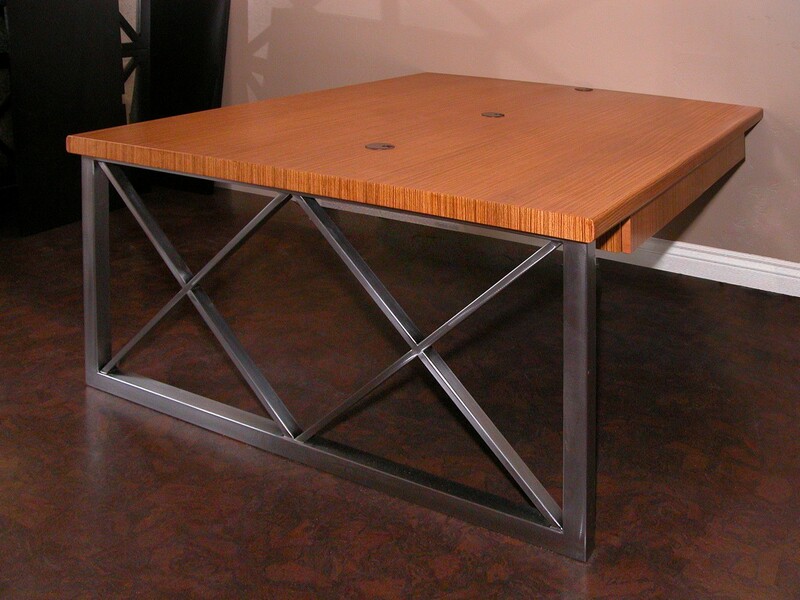 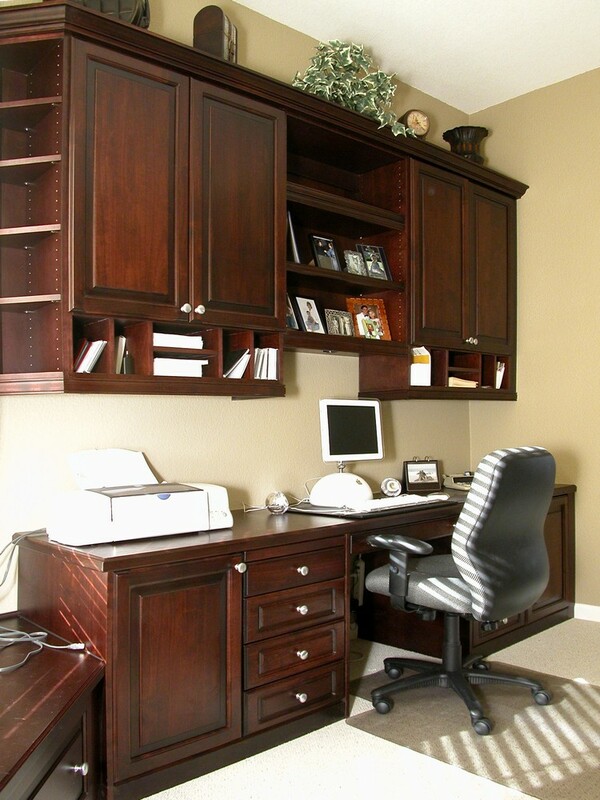 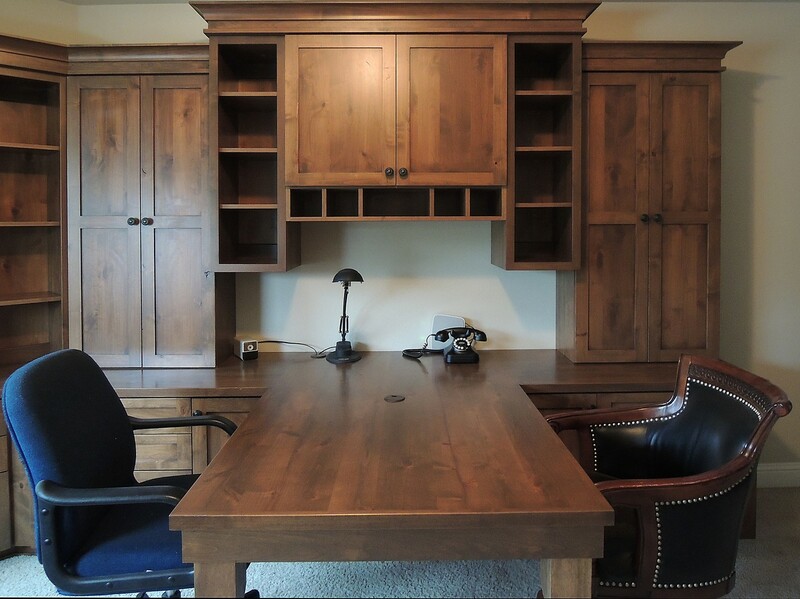 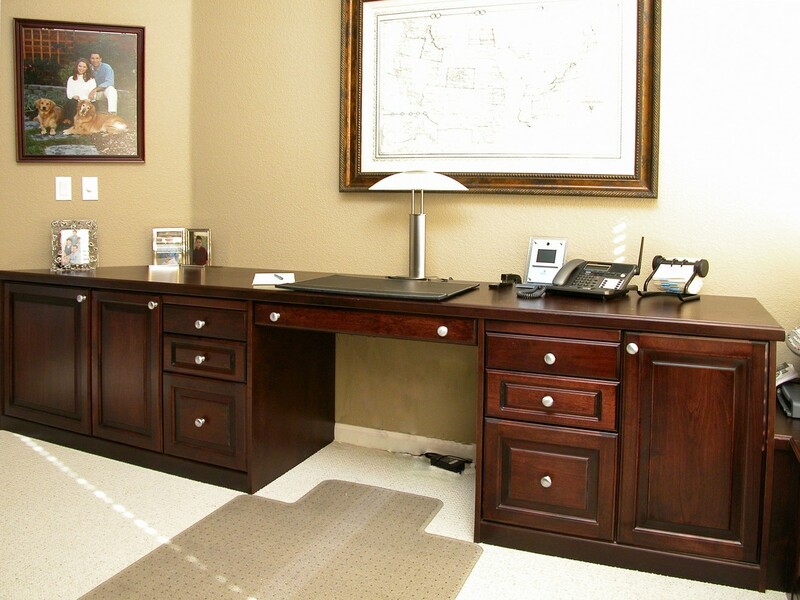 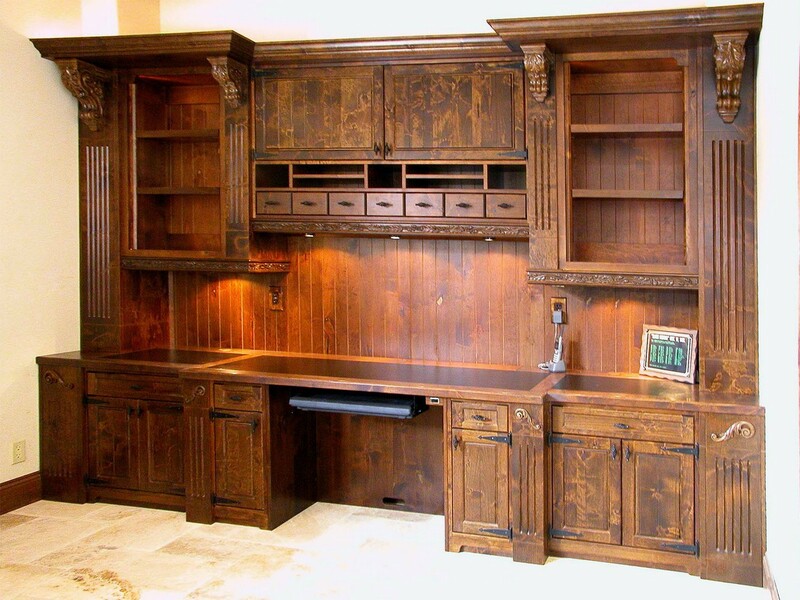 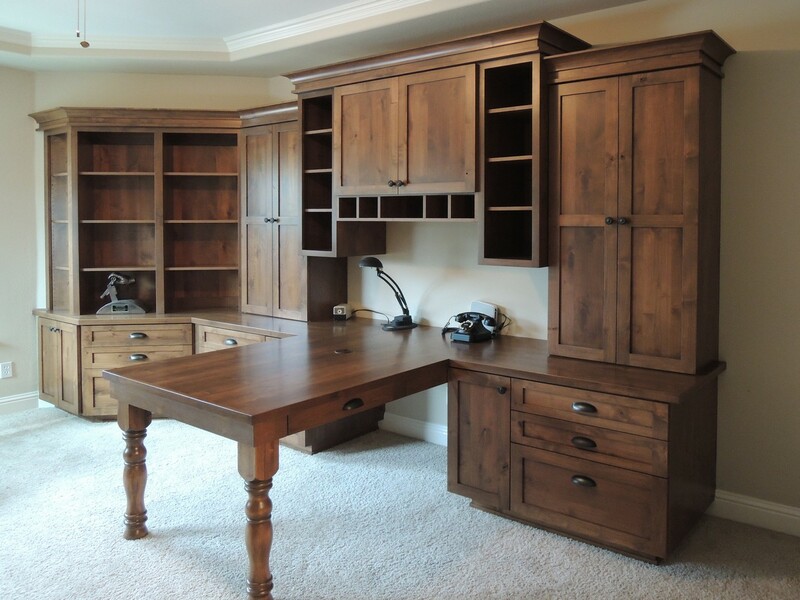 Rustic Alder Desk with LED illumination, motorized monitor lifts, table in a drawer. 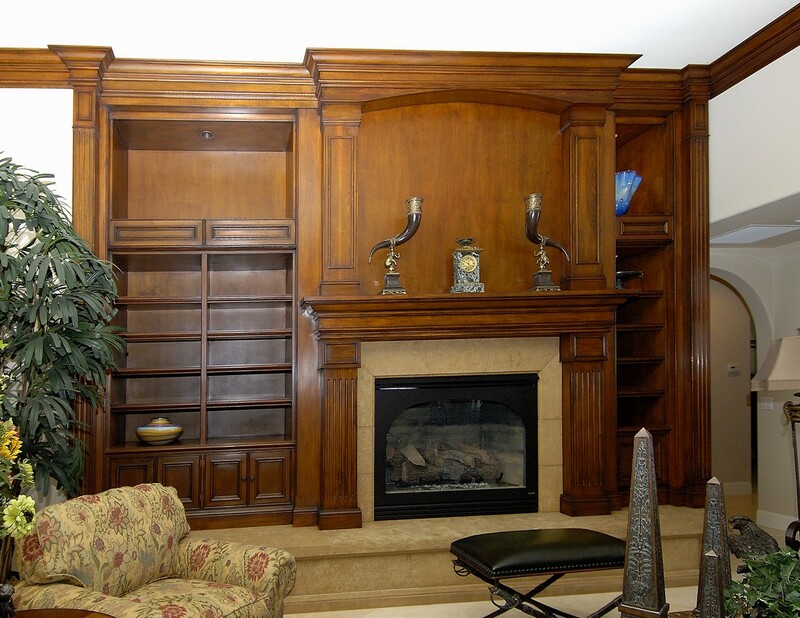 Cherry mantel with stone face, inset TV above. 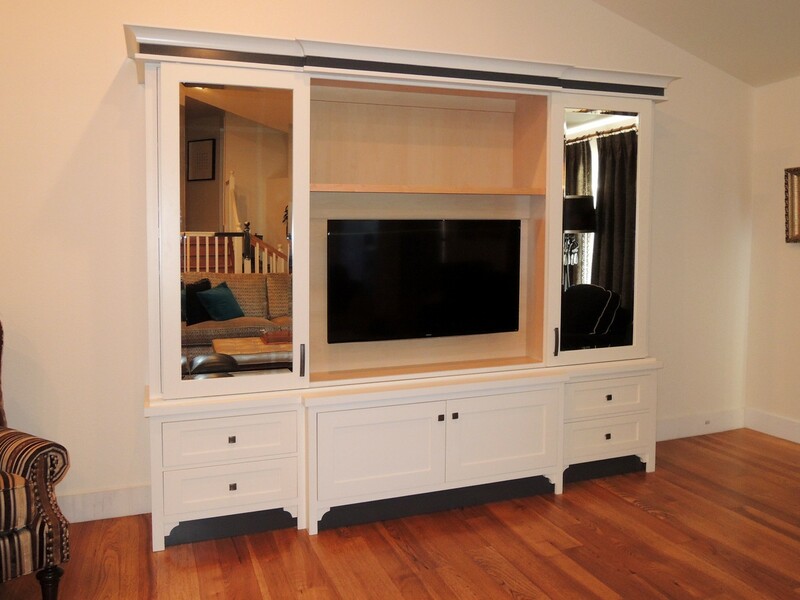 White painted room divider with storage below. 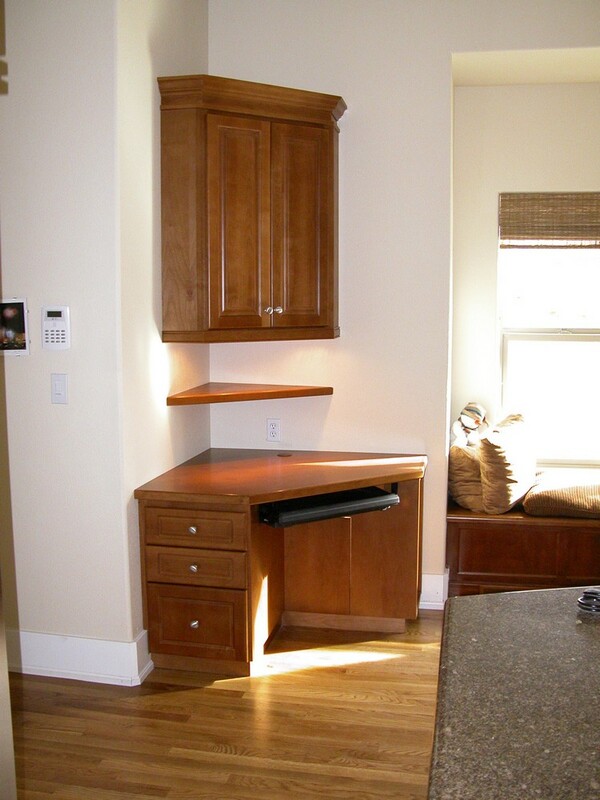 Counter doubles as a convenient serving area. 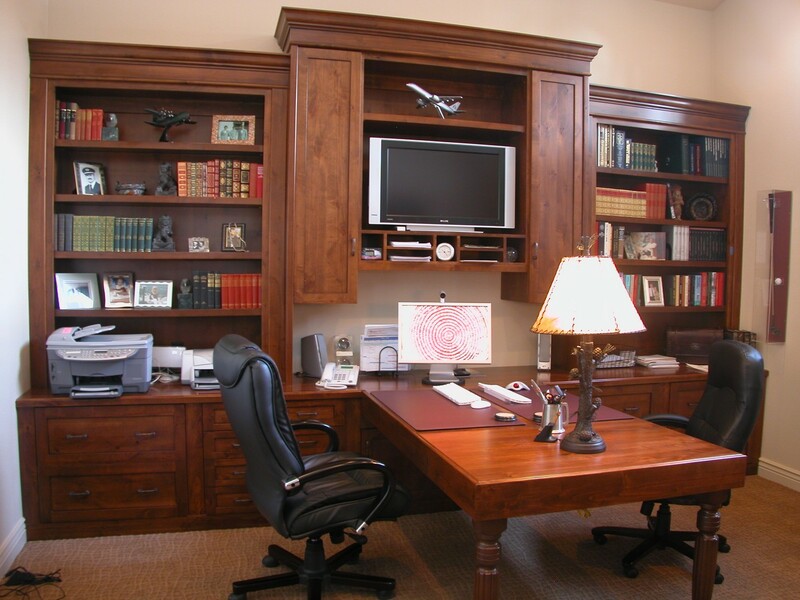 Desk, display, & library all in one. 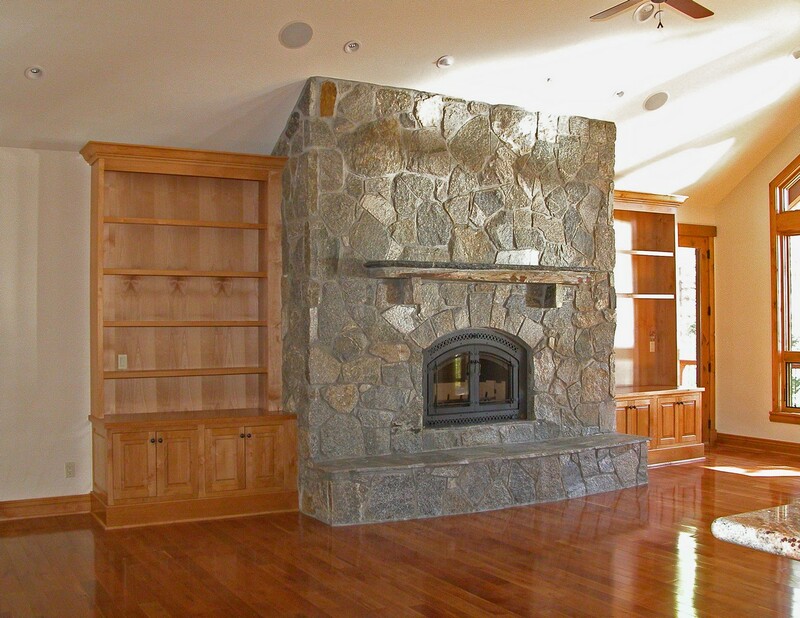 Red birch wood construction. 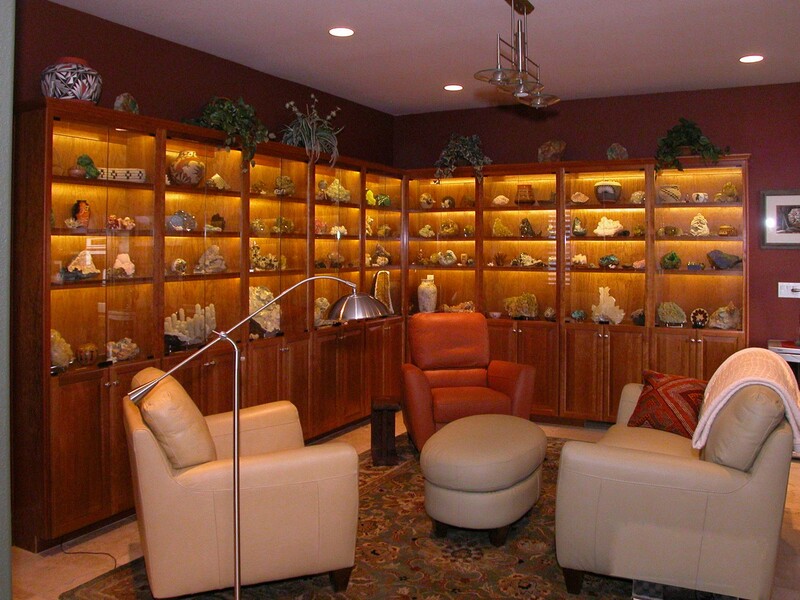 LED illumination. 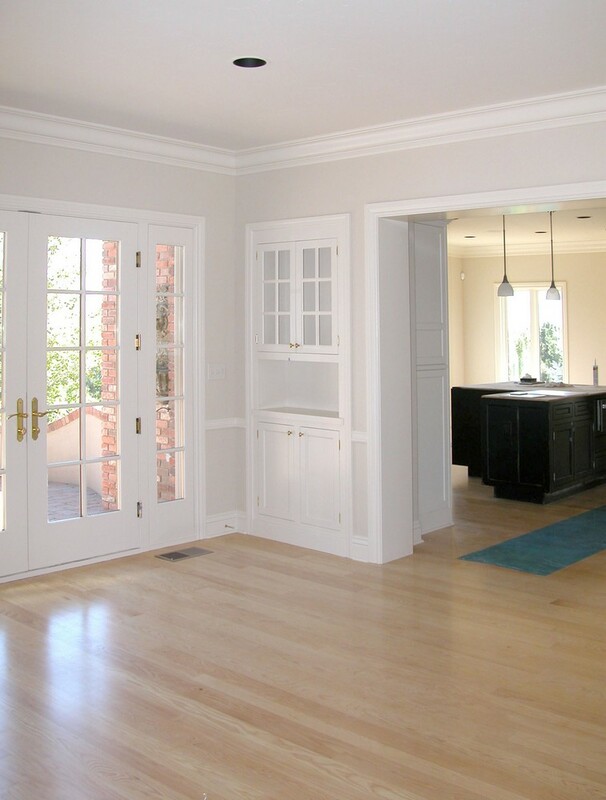 Frameless glass doors. 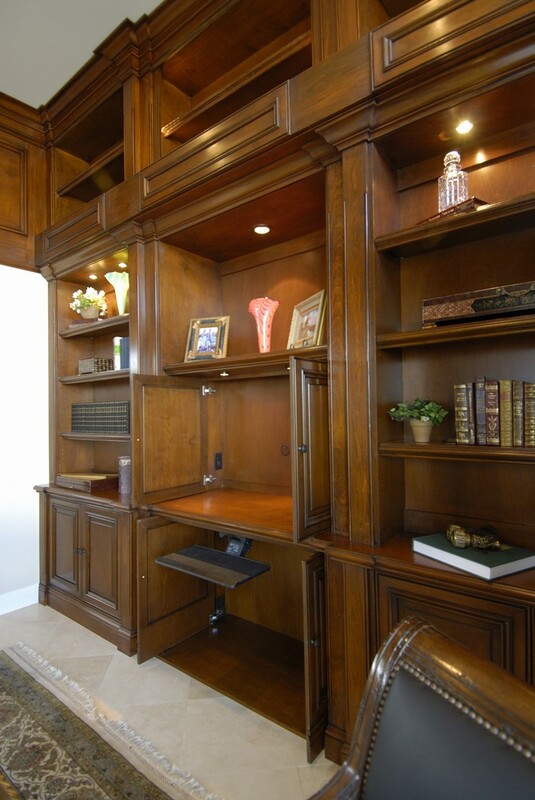 lot of storage. 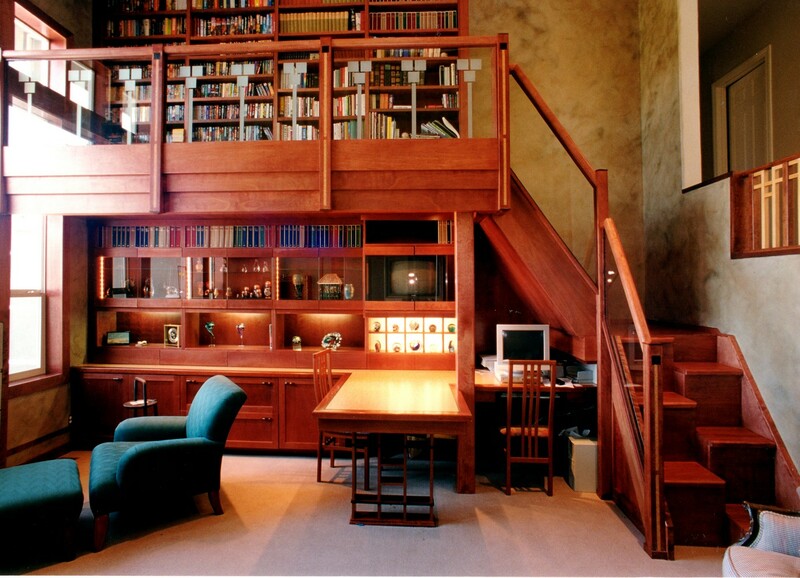 Very unique stairs. 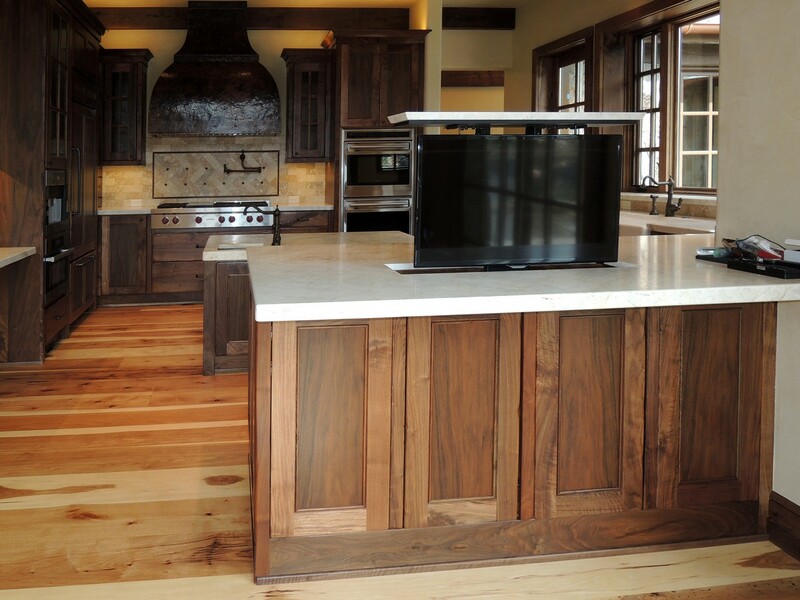 Red oak cabinetry with glass doors & LED illuminated interiors. 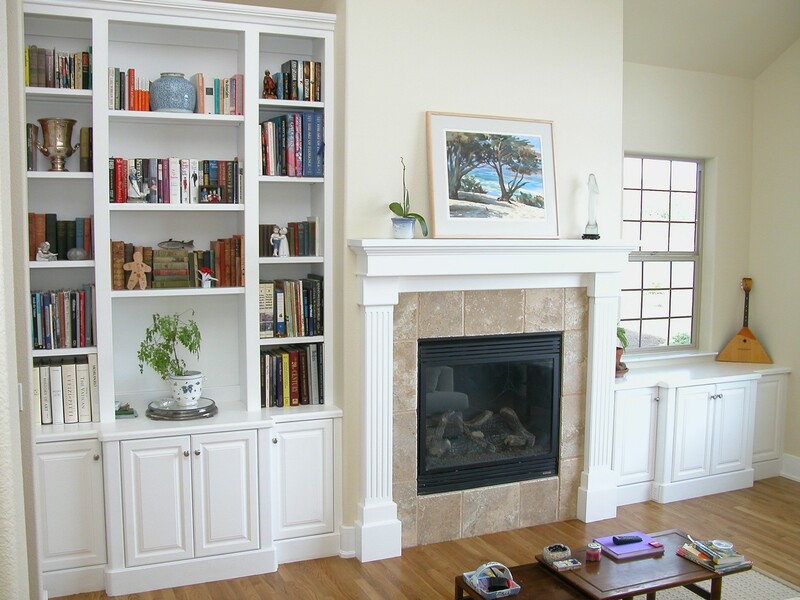 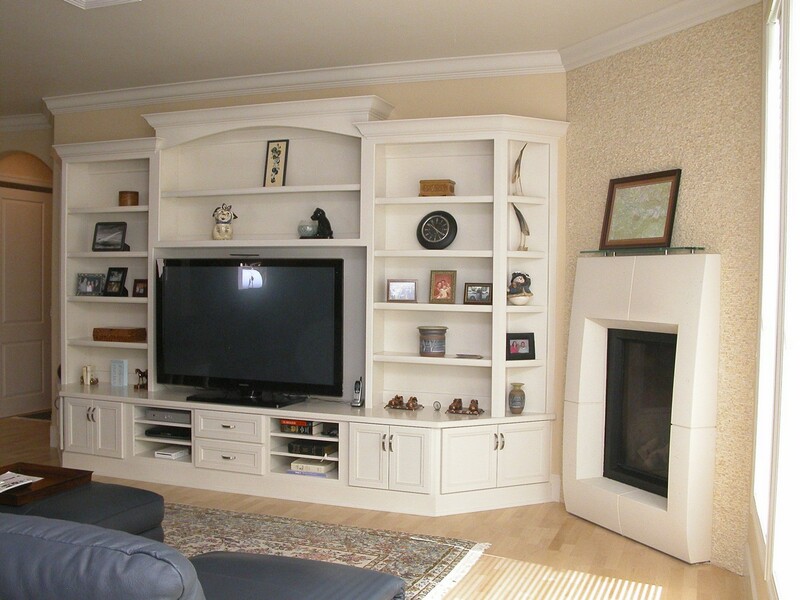 White lacquered wall unit with storage for TV Media and display items.